The formerly German area of the Alsace feels more German than Germany itself, but it is French. 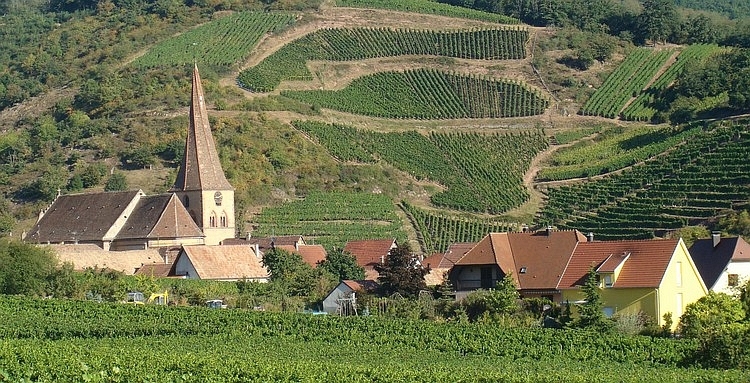 The area lies between the hill range of the Vosges and the River Rhine and is full of beautiful, flower-laden villages and little towns between the vineyards. The Jura is a series of hill ranges in Eastern France and Northern Switzerland. With loads of rain annually, this is a very green region with vast forests and grassy plains. The area is geologically composed of limestone, which shows itself through rocky cliffs and through karst landscape features and caves. 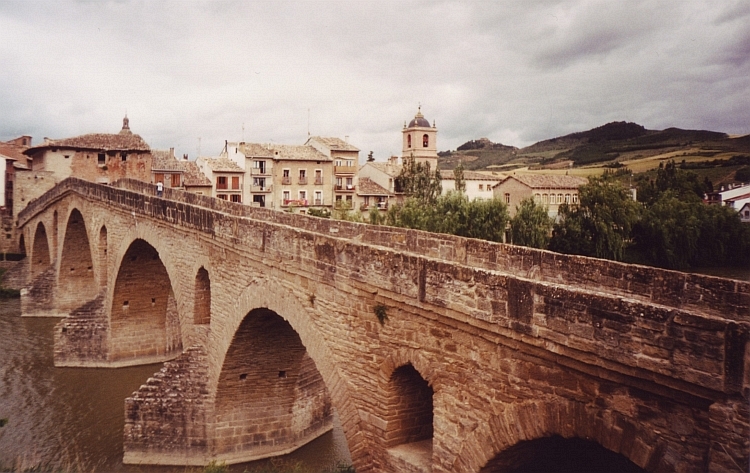 The area is also interesting because of its quirky, beautiful villages and little towns. 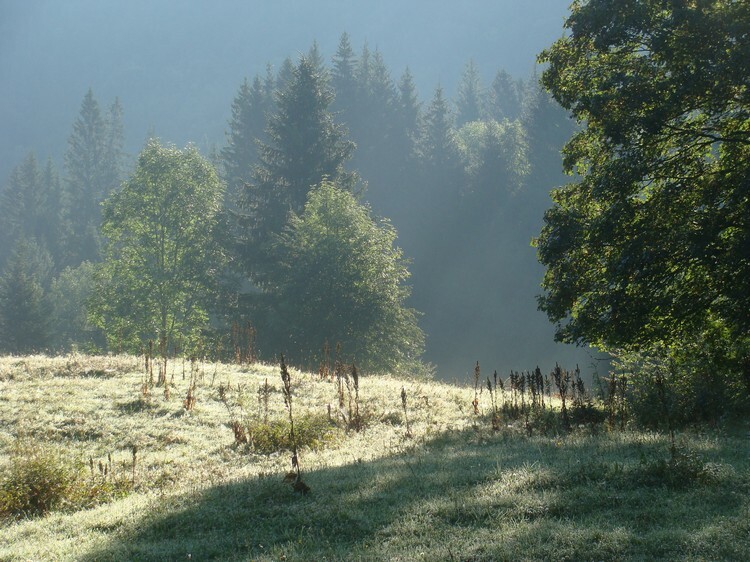 The Cantal is a beautiful region with old weathered volcanoes. 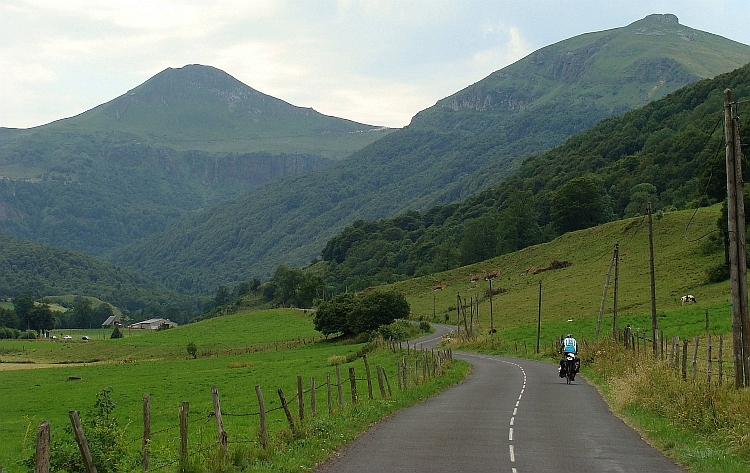 The standout peak of the Puy Mary is accessible from four directions and all these roads are highly attractive. Unlike the big cols of the French Alps, the surprisingly varied landscapes of this thinly populated area are devoid of mass tourism. Apart from the extraordinary landscapes and beautiful lavastone villages like Salers the region's tranquil flow of life is like a step back in time in the heart of Western Europe. 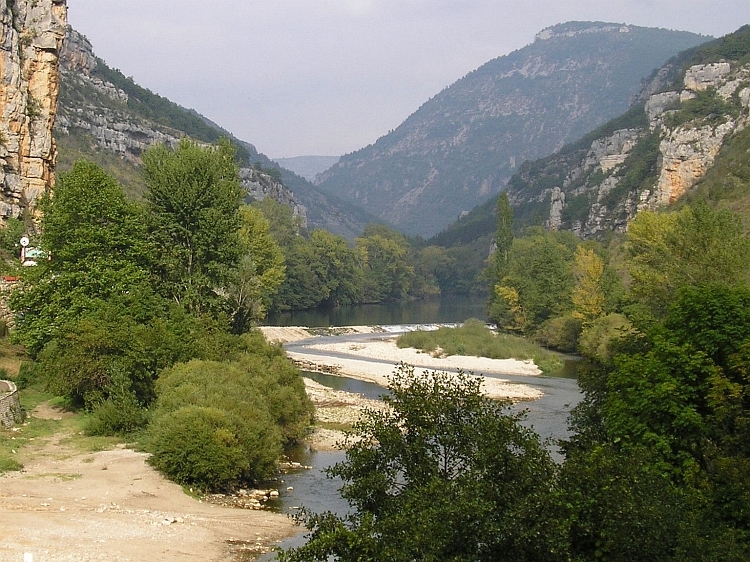 The Cévennes is one of only two French National parks without high mountains. Having said that, cycling in this landscapes of scenic Causses (high plains) and gorges is not going to be easy. From the bottom of the splendid Gorges du Tarn to the peak of the Mont Aigoual is more than thousand meter climbing. 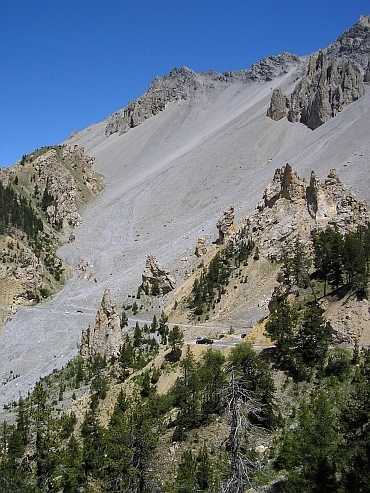 The Col d'Izoard is my personal favourite paved col of the Alps. The col is south of the main ranges of the Alps and there is a mediterranean flavour over the area. Both the north and the south sides have varied landscapes. There is a series of gorges, there are beautiful mountain valleys and there are great mountains sceneries. 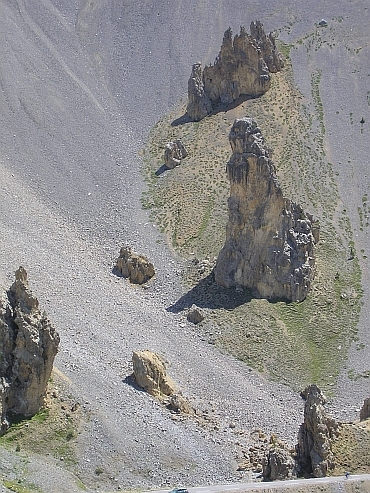 And there is the Casse Déserte, a moon-like boulder strewn mountainside with stange rock structures. The whole World is turning into pavement but there are still great unpaved roads, even in the European Union; maybe the most beautiful of those unpaved cols is the challenging Parpaillon in France. 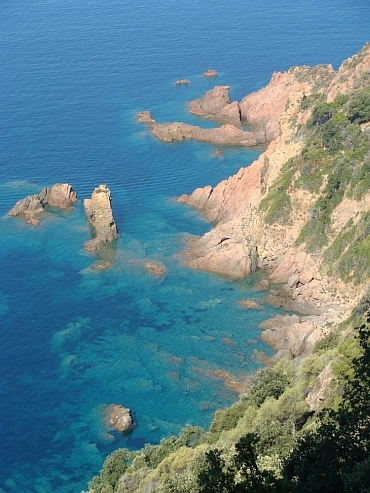 The Alpes Maritimes is an area of high hills or small mountains. The vegetation is mediterranean and the landscape is mostly green but there are barren landscapes as well. Other than the much higher Alps further north this is a region of surprises. There are virtually no tourists but there are many highlights that could potentially draw tourists. Because of the mountains and gorges a lot of villages are isolated and that may be the most characteristic aspect of this strange and interesting region. 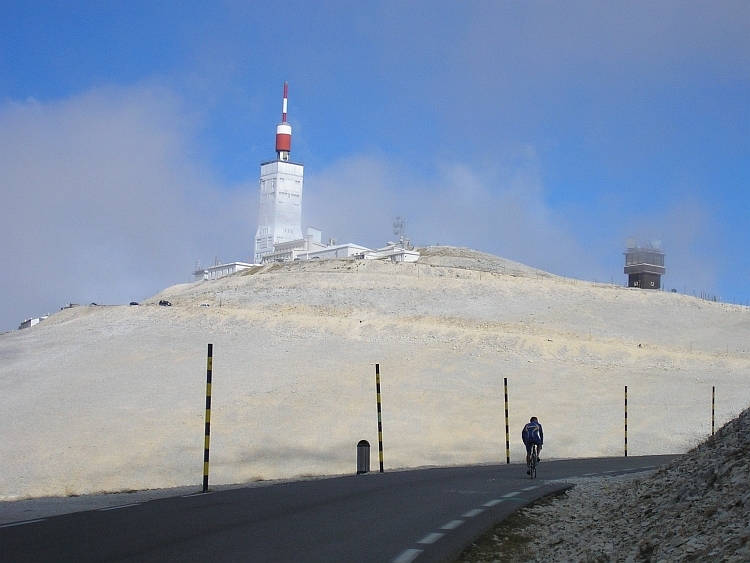 The Mont Ventoux is the most legendary climb of the world. And that legendary status is exactly what the Ventoux makes so special. A whole cycling subculture has evolved around the slopes of the Giant of the Provence. A world of stories and myth, rather than reason and facts. An old man kept talking to me that he was the pharmacist of Joe Simpson. The mountain itself is straightforward: first the long, steeper section in the woods and then the rock-strewn moonscape of the upper parts. 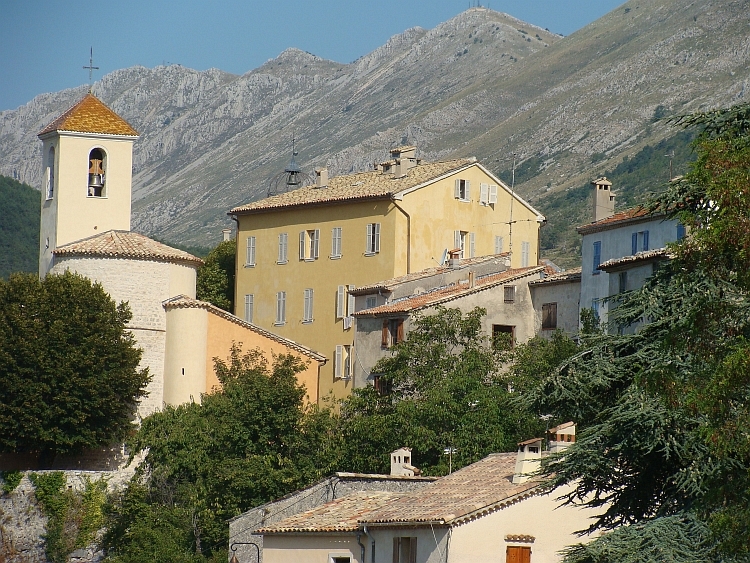 The area around the Ventoux is very beautiful with its lavender fields and a string of very beautiful villages. 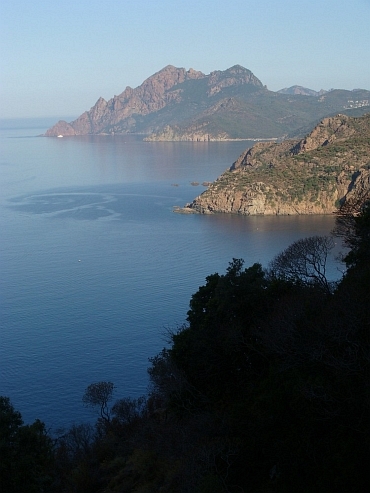 Corsica simply is a beautiful island. The central part offers great mountain sceneries but the most special might be the western side where the mountains meet the sea. 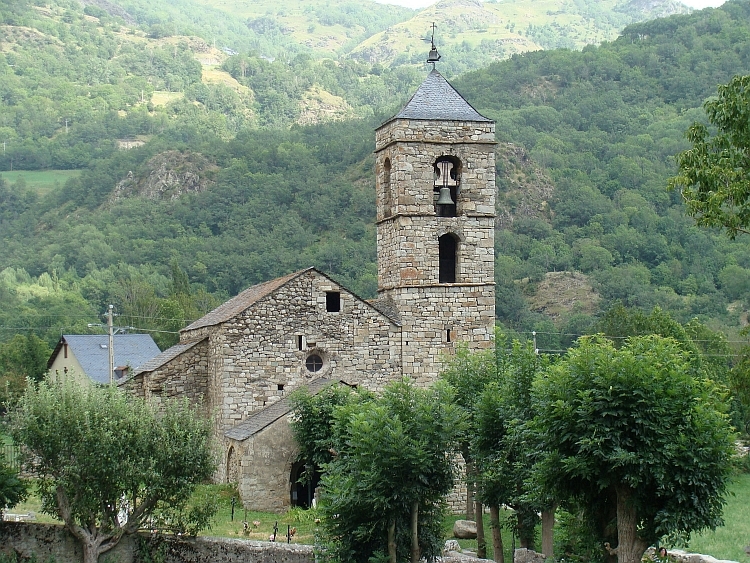 The Raid Pyrenéen is a route of ten days across all the big cols of the Pyrenees from the Atlantic to the Mediterranean. 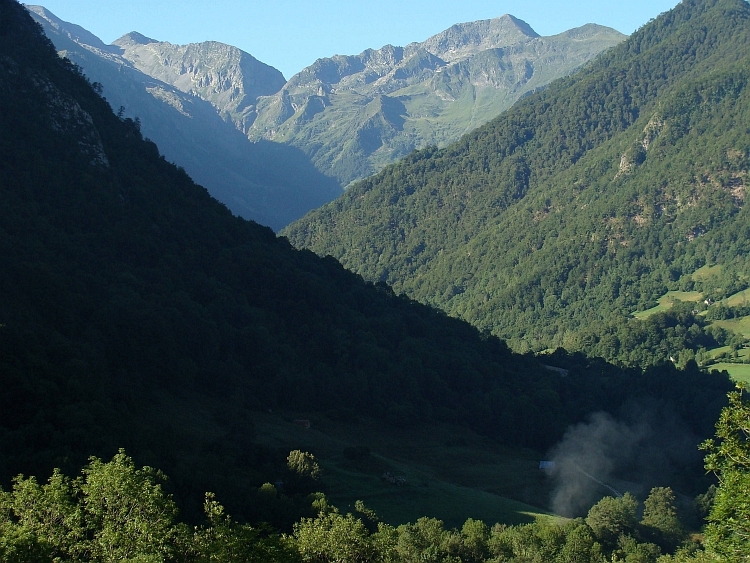 It is difficult to find a convenient route without tunnels and without exceptionally wide roads through the Spanish Pyrenees from east to west, as many roads have been 'improved' since Spain is part of the European Union. There are some roads that have been forgotten in the process and those are major highlights still for their diverse landscapes and for the interesting and pretty villages and towns. Every year a caravan of thousands of pilgrims goes to Santiago de Compostela by foot or on a bike: a living connection to European history and to old spiritual traditions. From Granada there is a rideable road to the 3.402 meter high Pico Veleta. Very difficult descent possible (big stones) to the Alpujerras. Portugal is great cycling country with loads of small, quiet and often demanding roads that connect the beautiful towns and villages through diverse and surprisingly green landscapes. 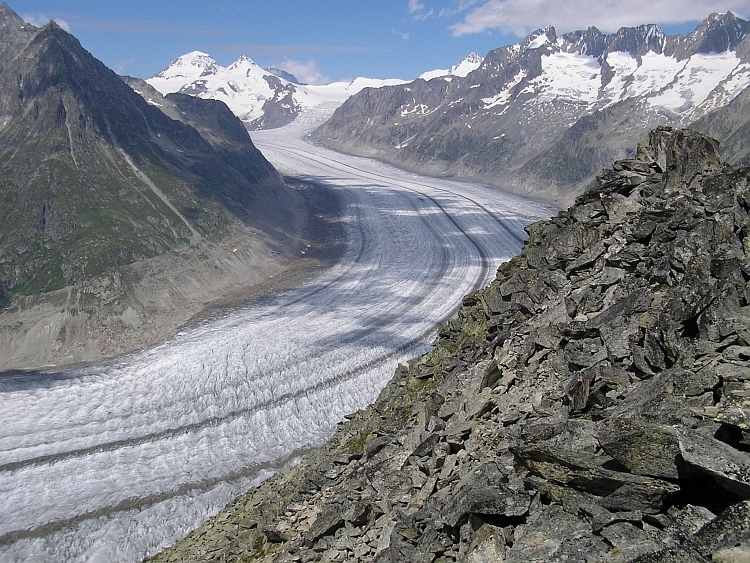 The Aletschgletscher is the biggest glacier of the Alps. The whole area around the glacier is a national park and is forbidden for cars. 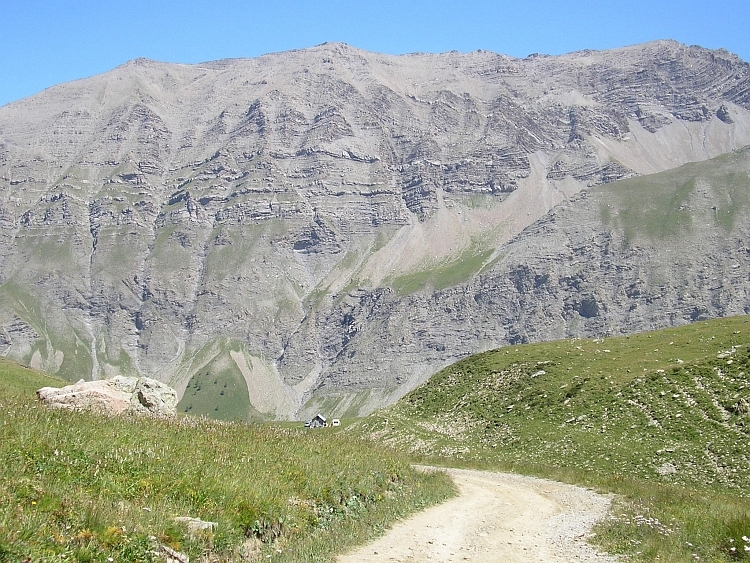 There is a road up to Riederalp though, accessible by bike. From there the glacier can easily be reached on foot and there are enough footpaths and semi-climbing routes to explore the region further. The Donauradweg is the famous bike path along the River Danube. Culture meets nature with a lot of cyclists. The Mont Ventoux may be the most famous col of Europe and of the whole world, but the Stelvio deserves it. 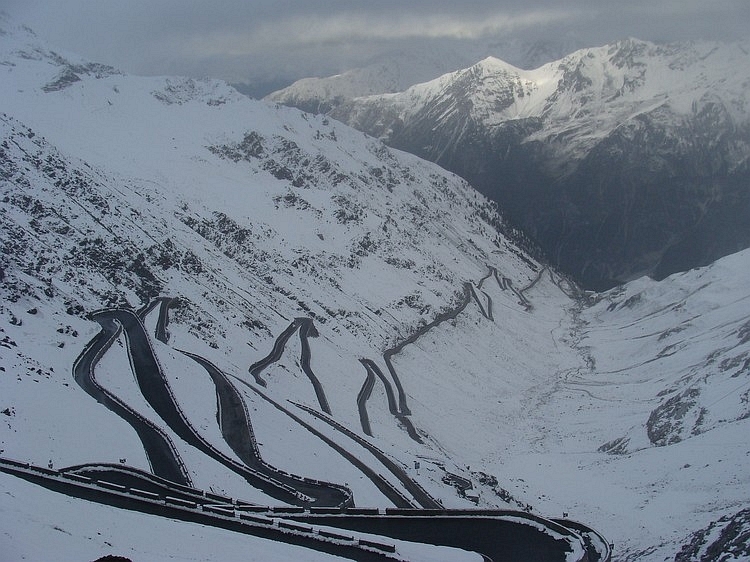 The Stelvio is one of very few cols in Europe that is actually situated in the middle of high alpine landscapes of the Ortler. 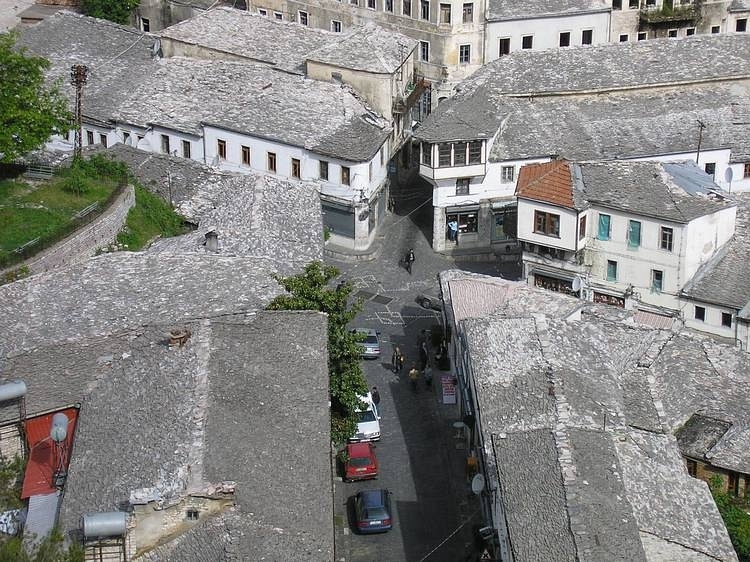 From Prato the road climbs nearly two thousand meter in endless zigzags and ends at an elevation of 2.757 meter. 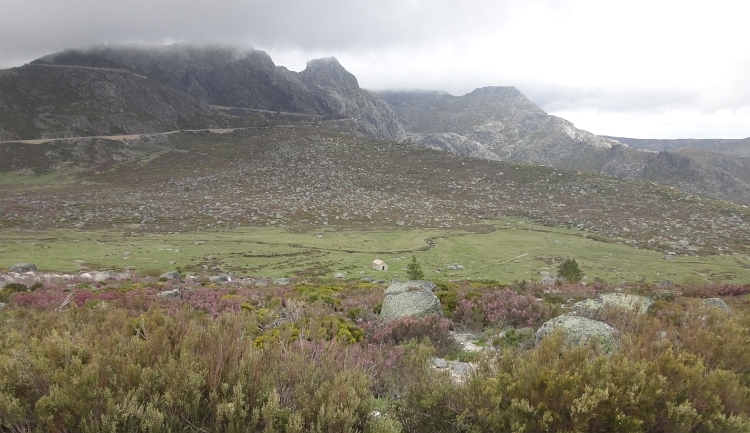 The Gávia climb is equally beautiful for the same reasons. 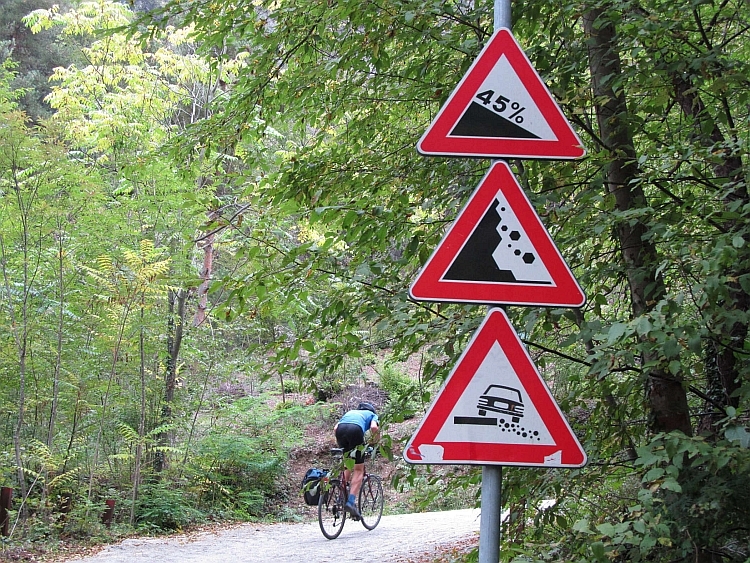 Nearby is the Mortirolo, a third classic climb because of its very steep percentages. The Scanuppia climbs 1.300 altimeters in a little more than six kilometres with maximum grades of 45 %. 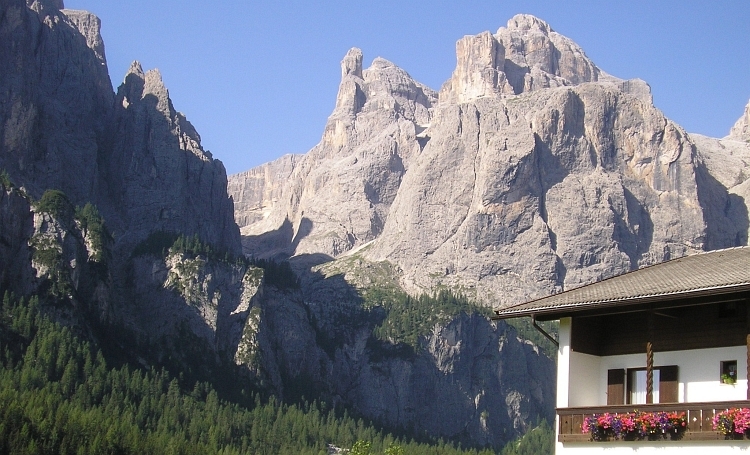 The Dolomites is magnificent cycling country. 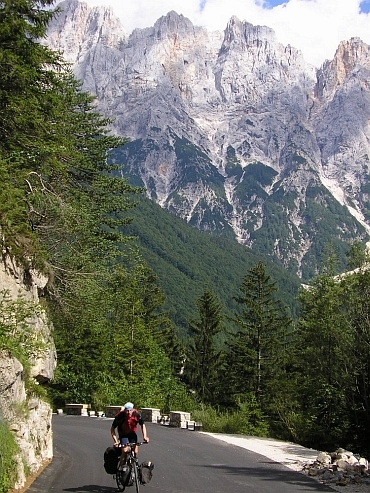 A lot of fine small roads lead to passes between the famous rock cliffs of the Dolomites. 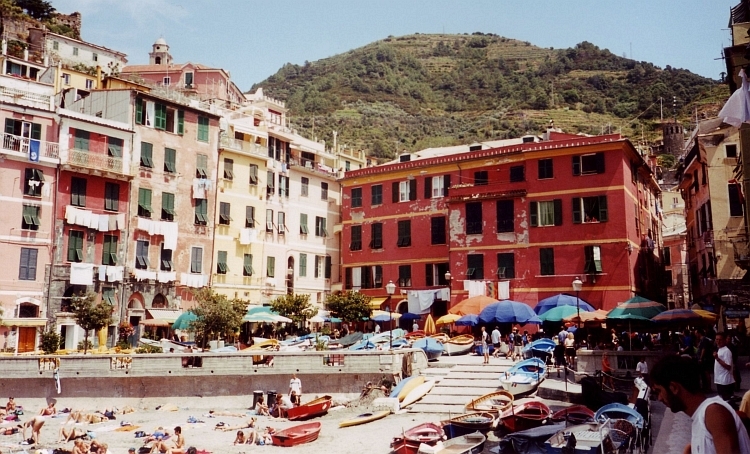 The Cinque Terre is the most mountainous part of the Ligurian coast. 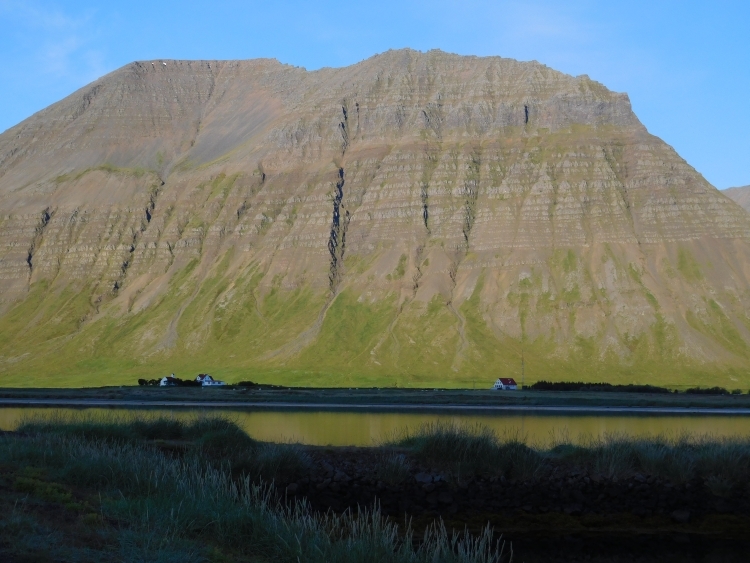 The green slopes rise steeply out of the sea. 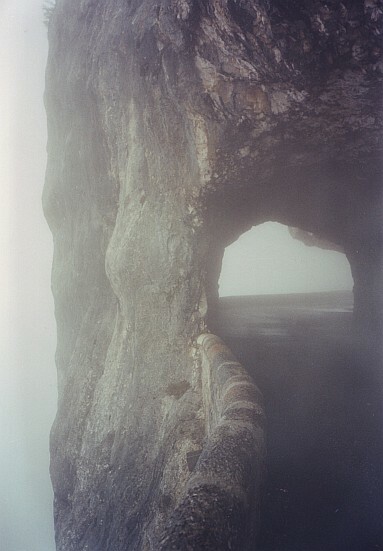 A small road clings to the mountainside far above the sea. 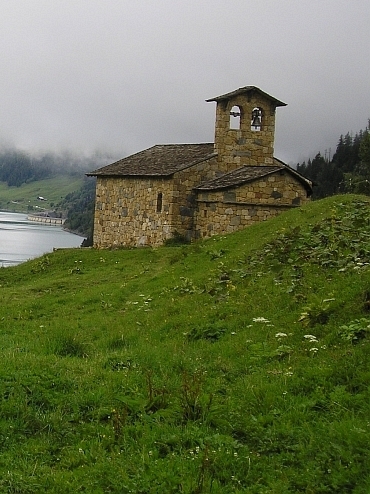 And far above the five beautiful, isolated villages which can be reached by bike over sometimes extremely steep roads. There are a lot of beautiful cities in the World that can easily be travelled on a bike journey, for example in Italy. 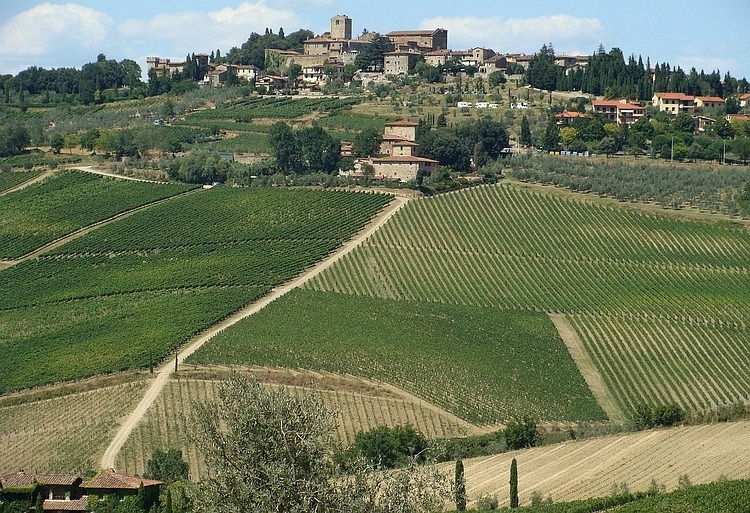 The Tuscany landscape has a worldwide fame for its rolling hills with cypresses and lonely farm houses with the occasional historical village on top of a hill. 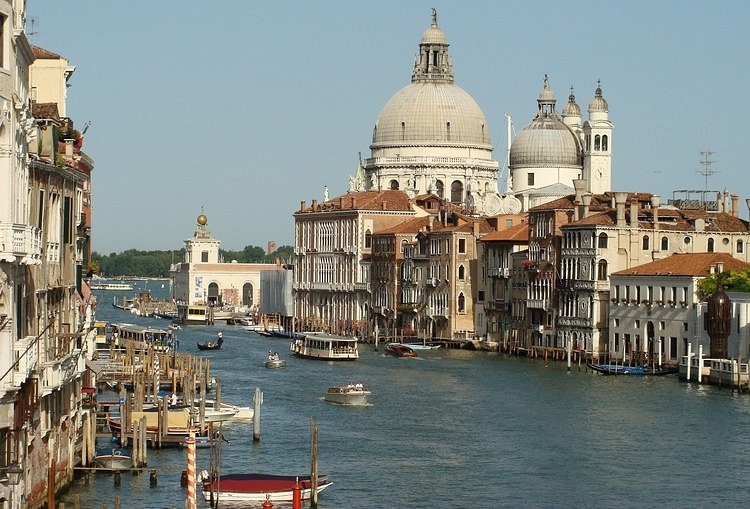 And of course for its famous renaissance cities like Firenze, Siena, Pisa and Lucca. And for the great food. With so many highlights cycling can be a disappointment though, because many roads are busy. Still there enough tranquil roads to make Tuscany a prime cyling destination. One of the biggest surprises of my bike journeys was the first time I entered the highlands of the Gran Piano, flanked by the Monti Sibillini mountain range in Italy. 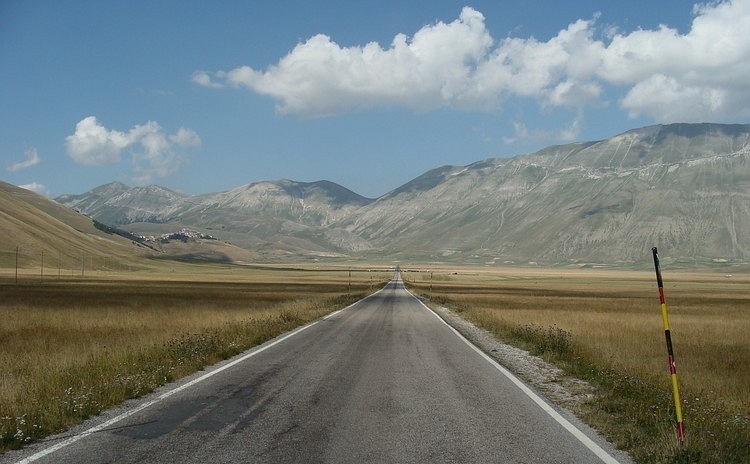 The Gran piano is a wide, flat and treeless valley without river but with a pyramidlike hill in the middle with the fascinating village Castelluccio on top with incredible views on the mounatin range of the Monti Sibillini. The inland of Sicily is an undulating landscape at 1.000 to 1.500 meter elevation. 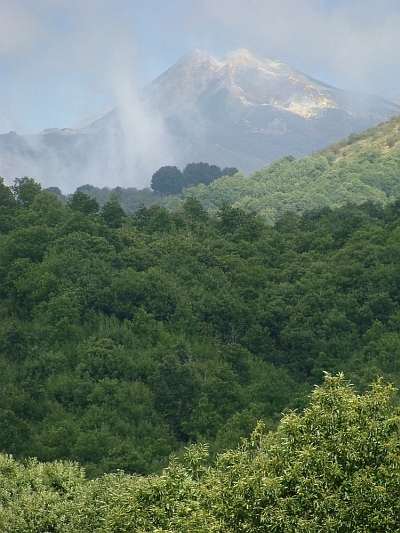 Looming over the yellow plains is the huge volcanic Etna Massif. 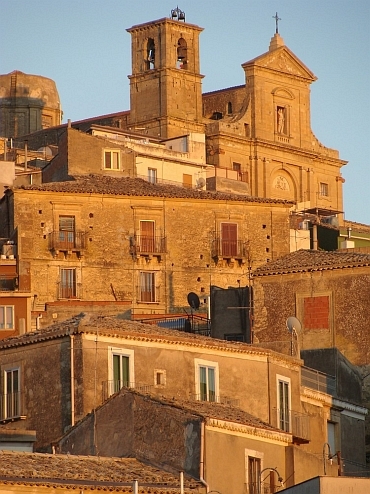 Villages lie like eagle nests on the peaks of the hills and reveal a world far away from mainland Europe and seemingly even far away of the busy coastal areas of Sicily. The landscape of inland Sardegna is old and weathered. Lots of stones, few bread, like an old man summarized. The geography coincides with its people. The young people have gone many years ago and only the very old have remained. And just that is what makes inland Sardegna so special. A world of old stories and imagination. 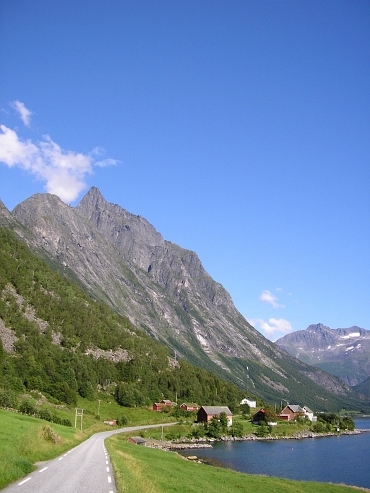 If we think about Norway, we think about fjords. 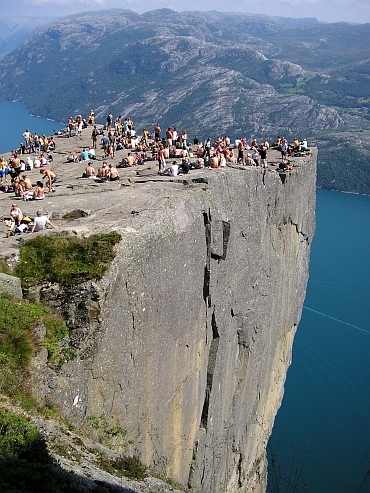 Although there is so much more to Norway. Going north it is possible to take in all the major fjords by taking a route in the western part of Southern Norway. Highlights include the Lysefjord, the famous Geirangerfjord and the fjords around the unknown but spectacular Sunnmøre Alps. 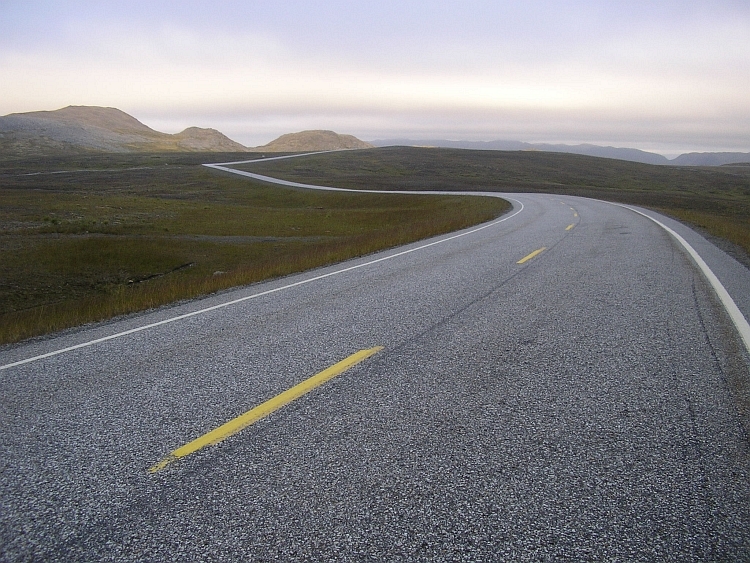 The road map of Norway shows a percentage of nearly 100 % paved roads. But there is a classic unpaved road too. 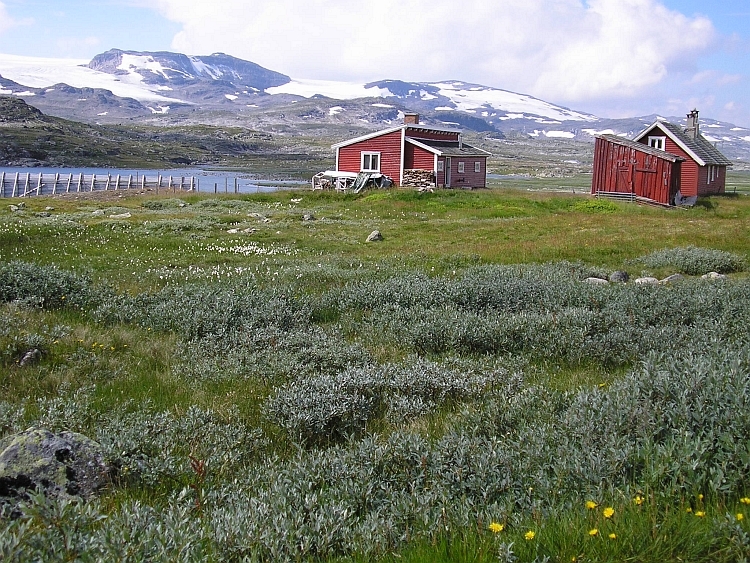 The Rallarvegen was used for constructing the railway between Geilo and Flåm. The road climbs up to high tundra plains flanked by deserted mountain ranges, icy lakes and an icecap. The road suddenly drops down in a series of zigzags as it descend to Flåm, the dead end point of the beautiful Aurlandsfjord. The most alpine part of Norway, the icy fairytale landscape of Jotunheimen National Park is filled with rock peaks and big glaciers. 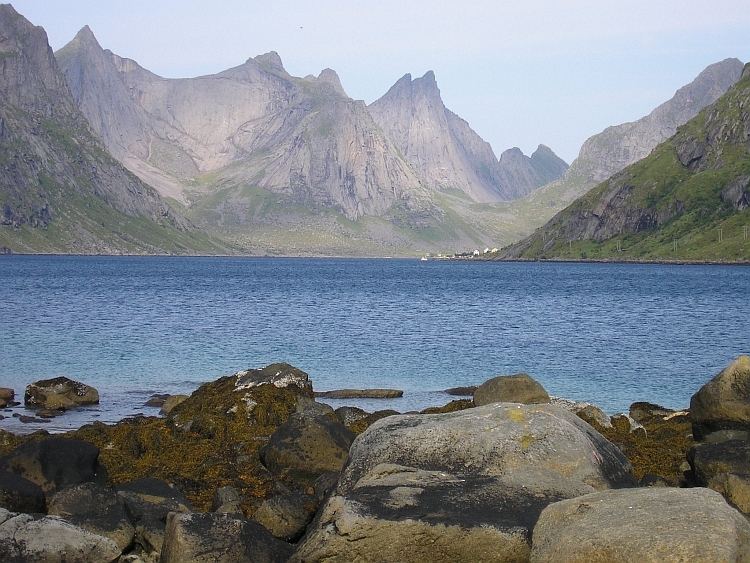 In the arctic part of Norway there are the archipelagos of Lofoten and Vesterålen. The islands seem to rise up from the ocean like giant jaw teeth. 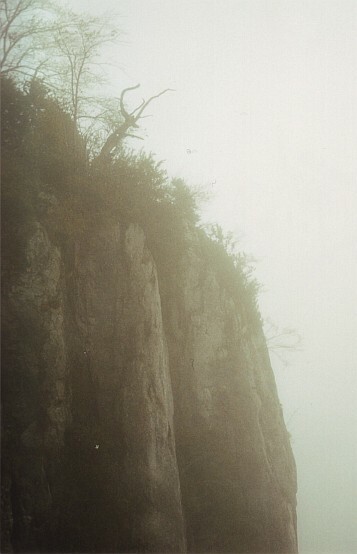 The granite cliffs rise up to a thousand meter altitude. Tiny fishermen villages cling between the cliffs and the ocean. Cycling to the Nordkapp means accepting bad weather, although I was lucky with only one rainy day in a month. 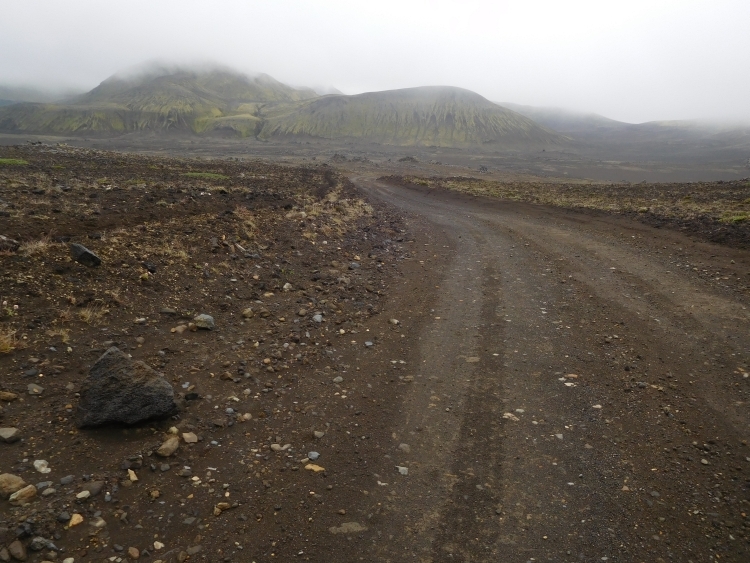 Three rough unpaved roads lead to Landmannalaugar, where nearly all Icelandic landscapes come together: volcanoes, mountains and wild rivers. 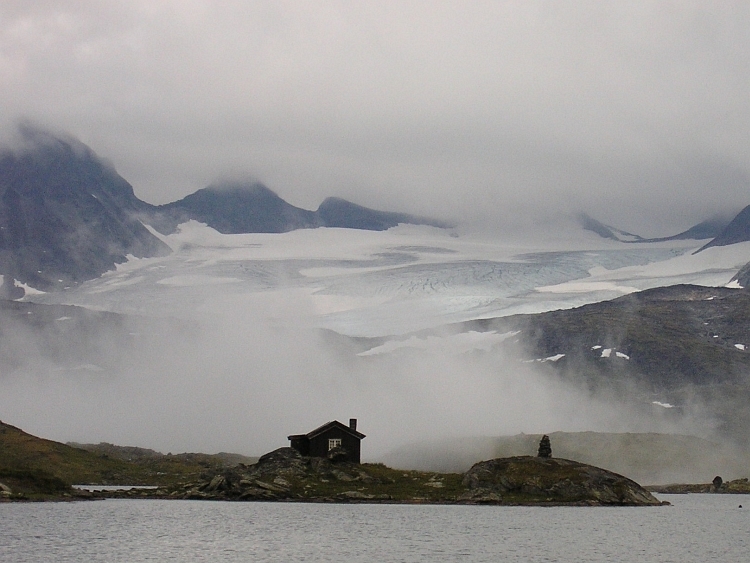 The northwestern fjords have got the roughest and most arctic landscapes of Europe. The last wilderness of Europe. Slovenia is a remarkably pretty little country, largely filled with the Julian Alps. 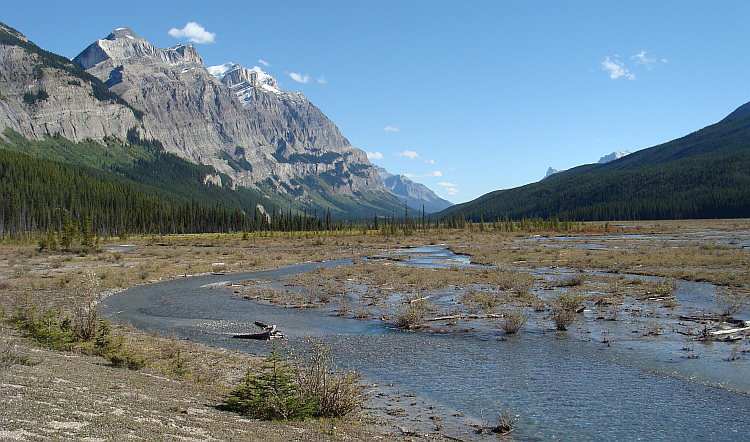 The mountains are characterized by wild peaks of limestone rock and beautiful valleys. 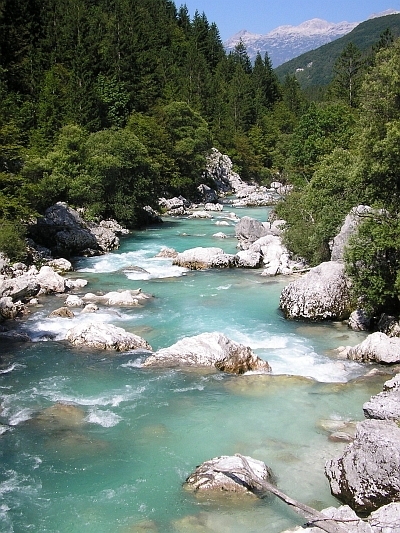 The peaceful Soča Valley is just gorgeous. India is the land of contrasts and that surely applies for Rajasthan. Desert in the west versus jungles in the east, the hectic big cities like Jaipur, Jodhpur and Udaipur versus the slow pace of life of the agricultural communities, the immense wealth of the vast palaces versus the poor living conditions of the normal people. 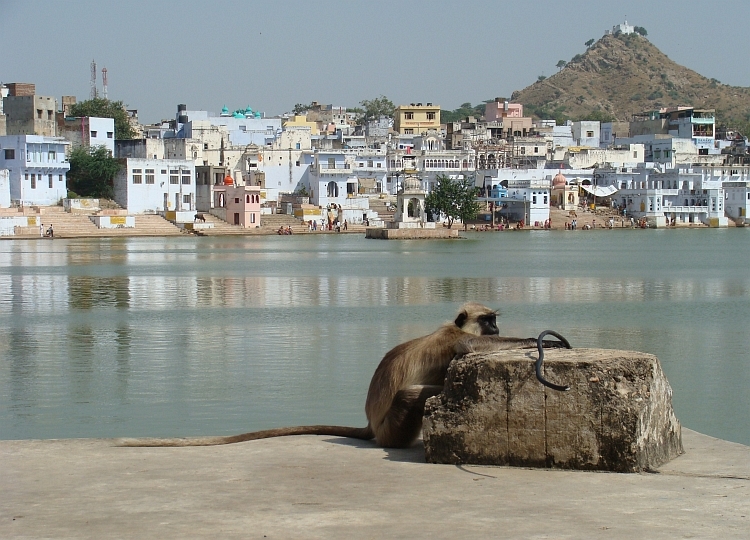 There are holy cities like Pushkar and mediaevil citadels like Jaisalmer and there are the colourful people. Rajasthan is a world on its own. Very different from the high Himalaya ranges further north, The hill ranges of Shimla, Manali and Dharamsala are exuberantly green. There are a few roads passing through the tropical forests and rice terraces of these hills (well we might call them mountains as well) and they are all extreme fun to do. There are enough villages and small towns so it is possible to stay in hotels every day and to dine in Indian restaurants along the way. The Manali - Leh road is one of a few classic bike rides in the world. Every mile of the way offers magnificent high altitude landscapes, from soaring mountain ranges to desertlike high altitude plains. 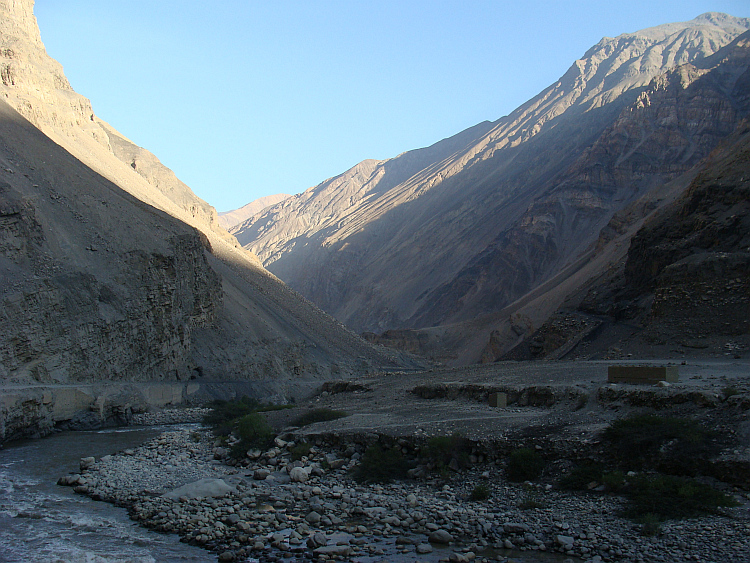 Four or five very high passes must be climbed to reach the fertile Indus Valley and the city of Leh. Ladakh means literally Land of high passes. The river of the Indus flows in between the mountain ranges and the Ladakhi people live on the banks of its valley for centuries. Ladakh was a buddhist kingdom with lovely Leh as its capital and with dozens of buddhist monasteries where you enter a transcendent and peaceful world far away from everything. 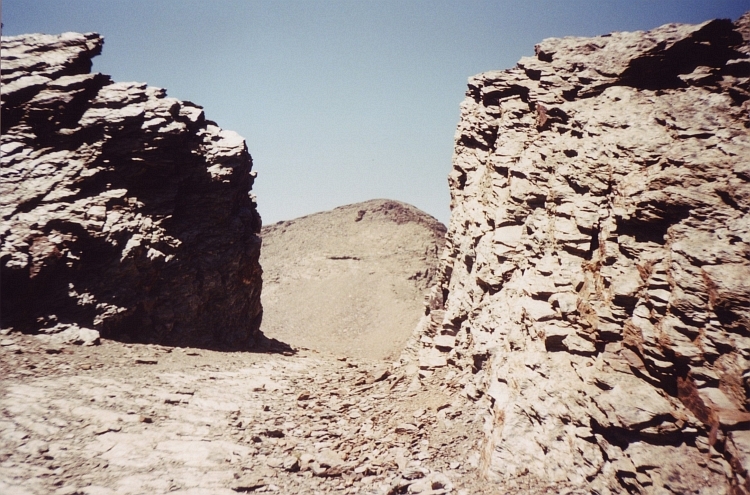 41) The Khardung La - the highest road of the world? 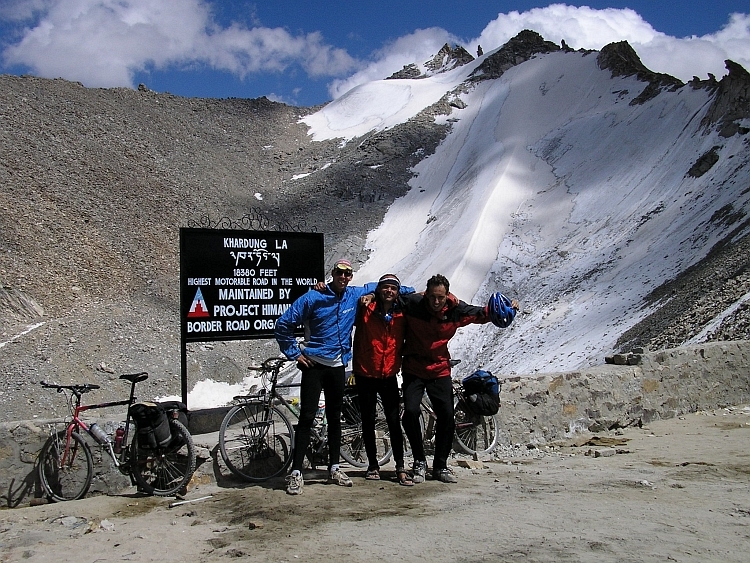 Today we know that it is not true but at the time Jeroen, Willem and I thought to be on the highest road of the World: the 5.356 meter high Khardung La. 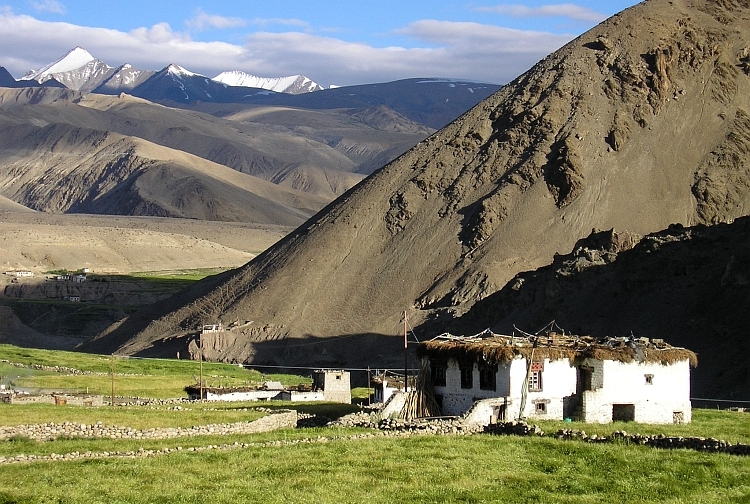 Ladakh is not the only 'Tibetan' valley in the Indian Himalayas. 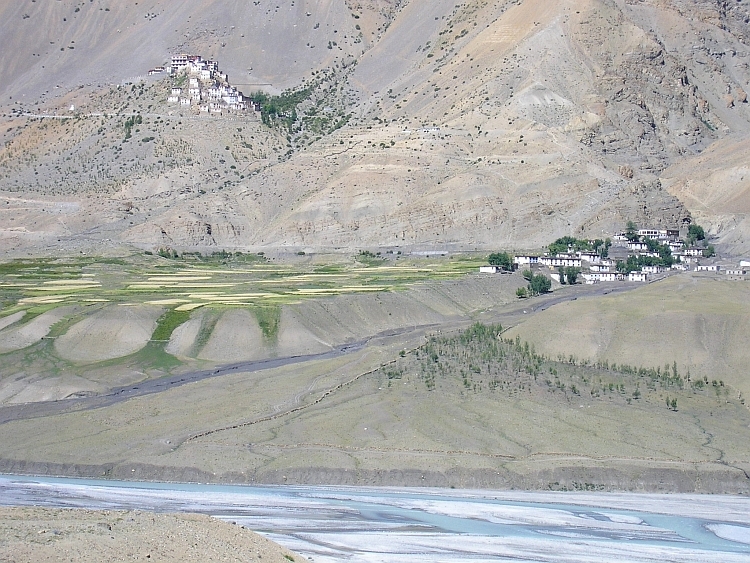 There are also the valleys of Lahaul and Spiti. The landscape is even more mountainous than Ladakh. A very rough road is connecting the two valleys and passes through these high-alpine landscapes as it winds its way up to the Kunzum La. 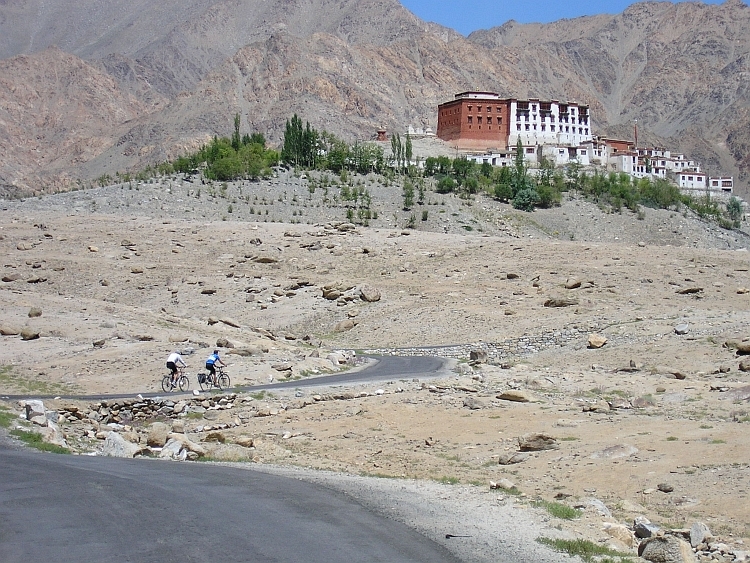 Spiti might have the most beautiful monasteries that can be reached by a bike. 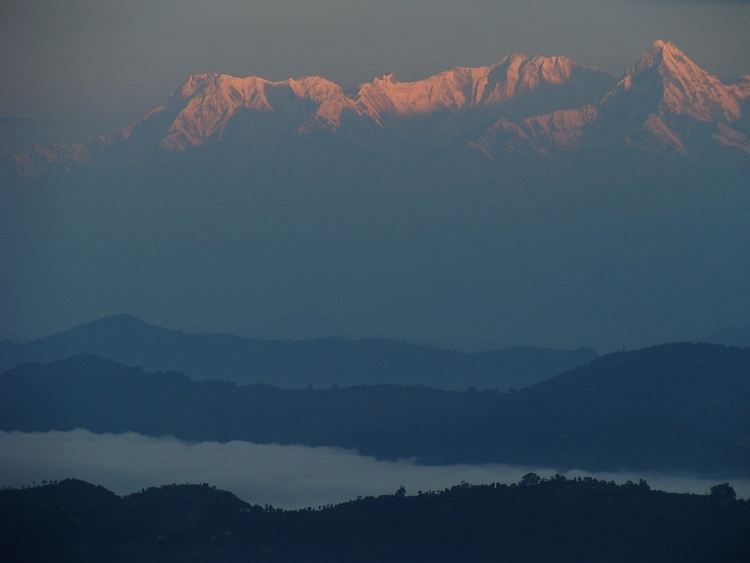 The Kathmandu Valley has no less than three beautiful cities: Patan, Bhaktapur and of course Kathmandu itself. Kathmandu is a major destination for cyclists, although the valley itself is no so good for cycling because of the traffic. But there are nice destinations in the surrounding hills like mediaevil Bandipur on top of a hill range with free vistas over the 8.000 meter high Himalaya chain. The Siddharta Highway is called after Siddharta Gautama, better known as the Buddha. From Siddhartanagar to Pokhara the road winds through the hills of Nepal. Hills? Isn't Nepal about mountains? Well, the Nepalis themselves call the 4.000 meter high peaks hills, but non-Nepalis will feel themselves surrounded by proper mountains, although there is no snow and ice. 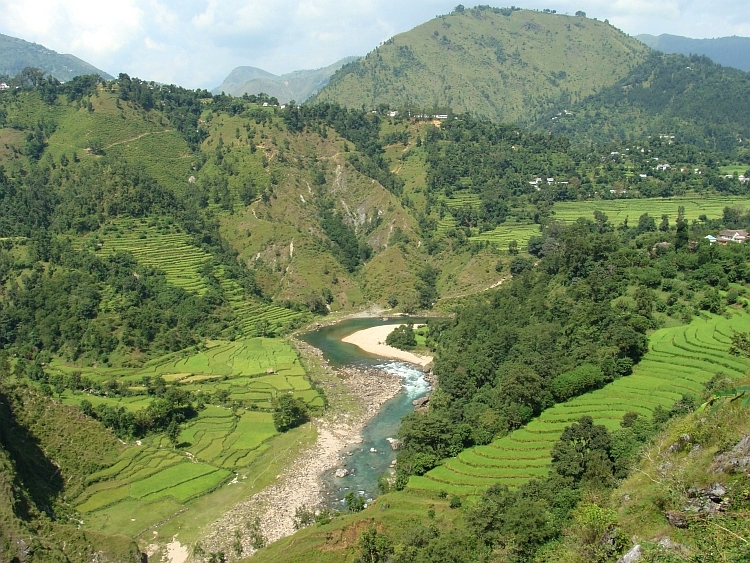 The Siddharta Highway, and other roads in the prehimalayan hill ranges are beautiful for its exuberantly green landscapes of jungles and rice terraces. The mediaevil little town of Tansen is a friendly, nice place to stay. 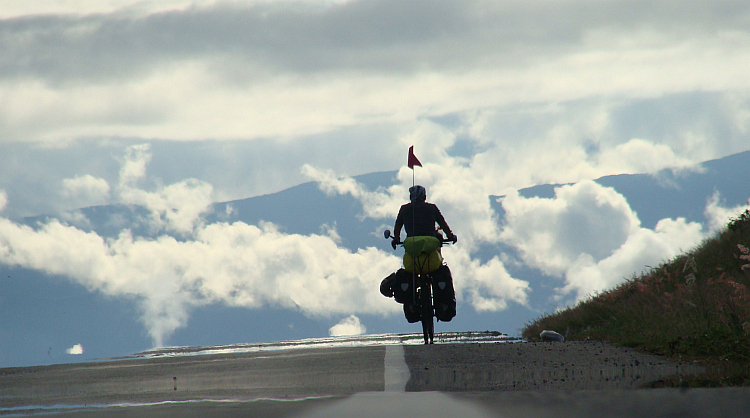 The Lonely Cyclist loves cycling but loves trekking as well like here in Nepal the trekking around Annapurna. The Annapurna Circuit is a two week trekking around the eigh thousand meter high Annapurna and gives a perfect summary van everything that the Himalayas region has to offer: the jungle, thee towering rock and ice cliffs, thee glaciers, the gorges, the villages and the people and animals that live in this area. The Atlas is a fascinating area with bare mountain ranges, fairytale oases and picturesque villages. The mountains are pretty accessible with a few paved and much more unpaved roads and are good for weeks of exploring. 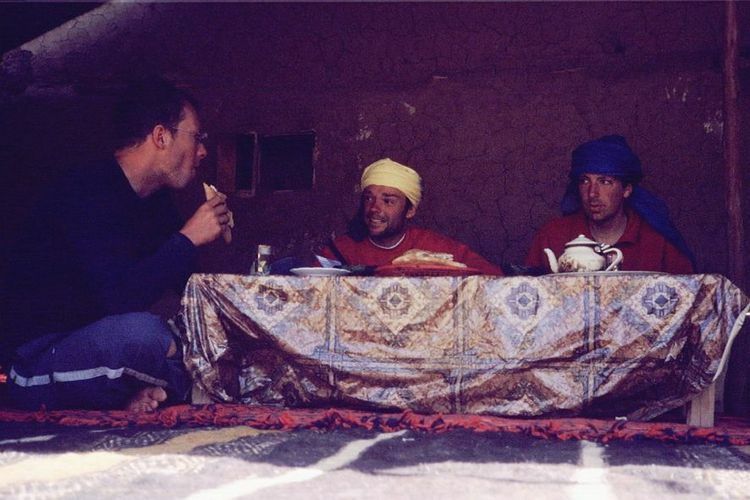 A tea ceremony in Morocco takes some time but offers perfect possibilities to lay contact with the local people and learn a thing or two from each other. 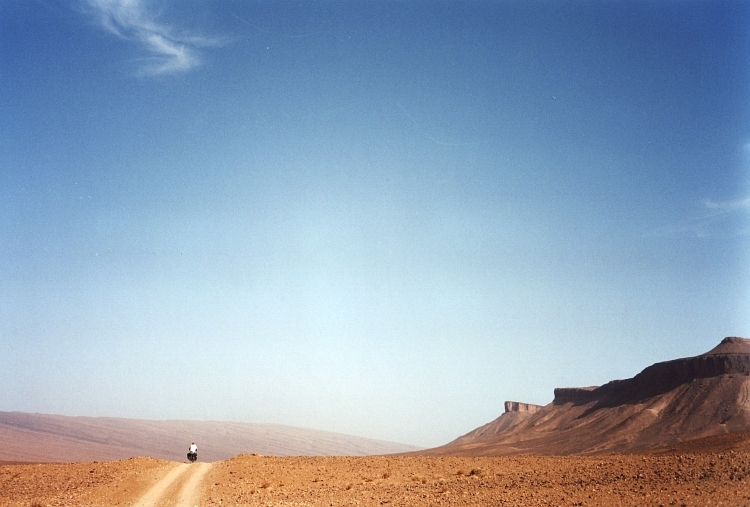 The road from Zagora to Tazzarine is a short, difficult and ultimaltely very rewarding stretch of Sahara. The sand dunes of Merzouga is the perfect final destination of a bike trip in Morocco. Sand dunes coincide with our associations with the Sahara desert but actually sand dunes ar quite rare. 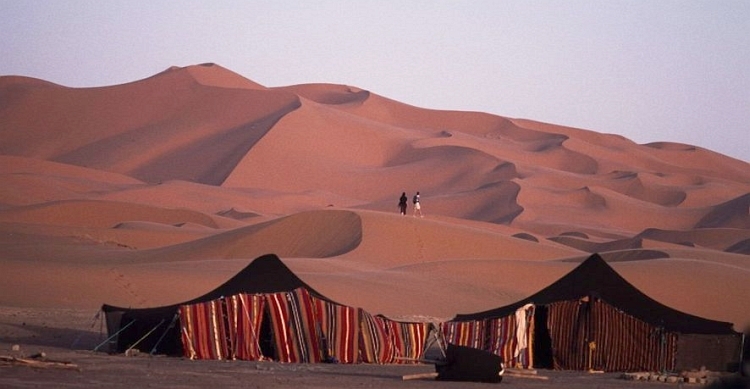 Merzouga has got the highest sand dunes of Morocco. 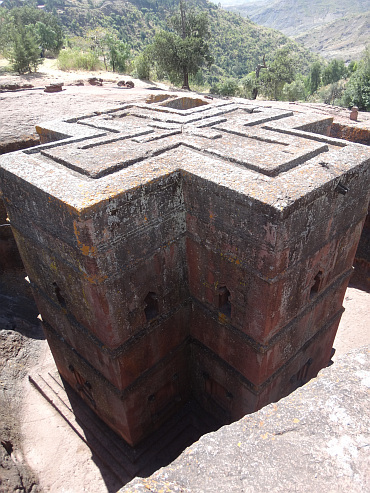 De kerken van Lalibela zijn uitgehouwen in en uit de rots en is mogelijkerwijs de plek die qua sfeer en mystiek het dichtst de oorspronkelijke spirit van het Christendom benadert. 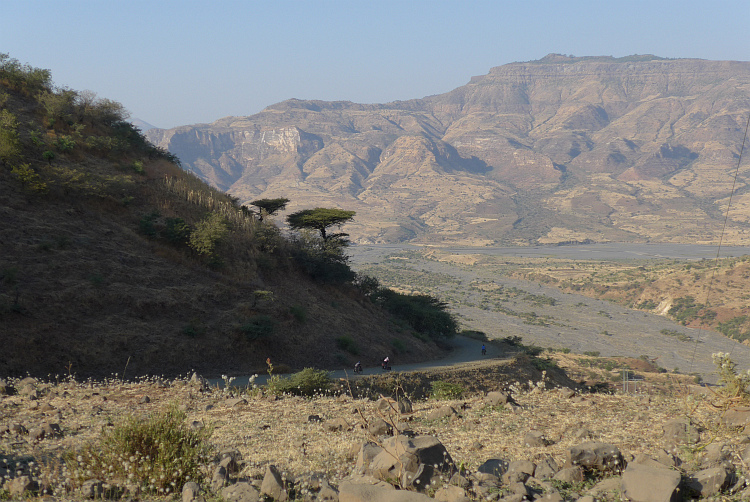 The highlands of Ethiopia are being cut in halves by rivers, that have left imposing gorges in the landscape. 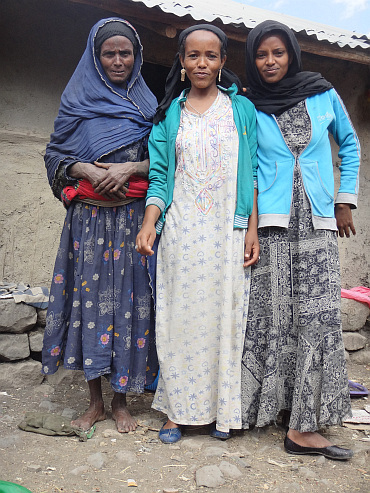 Everywhere in Ethiopia is poverty but still its people are singing, dancing and having fun. A great reminder to the old-fashioned wisdom that probleem is so much easier to bear with a smile on your face. The Icefields Parkway through the Banff and Jasper National Parks might be the single most beautiful bike ride in North America, as it passes alpine mountain ranges, imposing glaciers, gorgeous lakes and sweeping rivers, all in a setting of emerald forests with abundant wildlife like the grizzly bear, black bear, elk and moose. 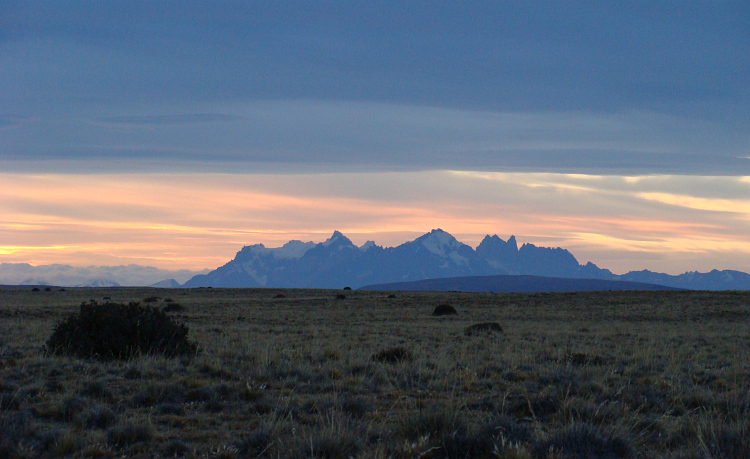 The first view of Grand Teton is magnificent, as it rises out of the vast plains. 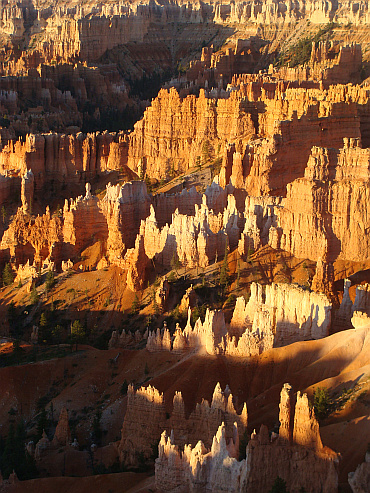 It is the perfect introduction to one of the true wilderness areas of our planet. Black bear and grizzly bear live in significant numbers in the vast forests and grassy plains as do elk and moose. Yellowstone National Park is also a wonderland of geysers, which are virtually everywhere in the park. 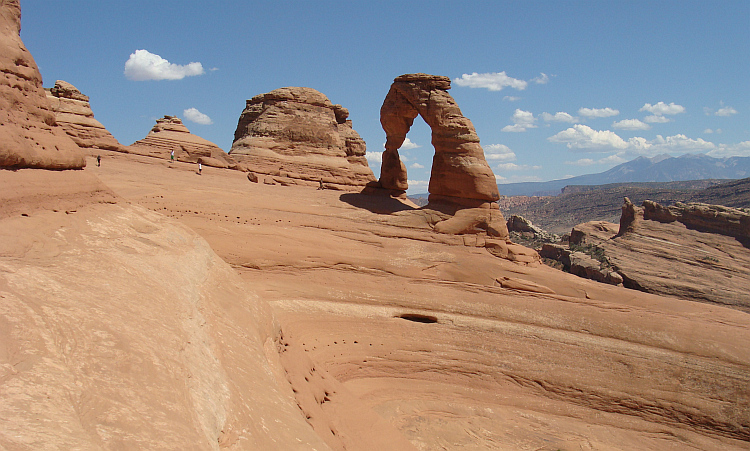 The Arches National Park is famous for its naturally formed arches. Wind and water erosion have carved the arches in red slick rock. Apart from the arches, there are imposing table mountains as well against the backdrop of a panoramic landscape with solitary mountain ranges in the distance. 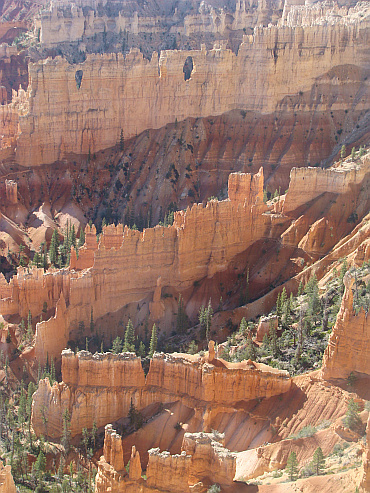 All the canyon national parks in Utah and Arizona are very special, but Bryce was my personal favourite with its pinkish red rock pinnacles. 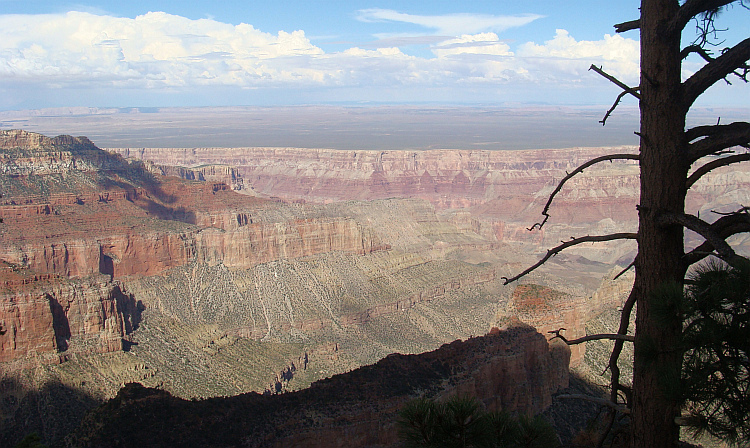 The Grand Canyon is one of the most famous natural phenomena of our planet. Surrounded by vast high plains, the landscape suddenly opens dramatically. Deep down below the Colorado River is still cutting its way deeper and deeper in the millions year old sediment layer, revealing a unique sequence of geological history. We all know the USA from television with all its contradiction between modern and old, religious sectarism and pure liberalism, rich and poor, but if you get the possibility to investigate for yourself, you will find out that the USA implodes every contradiction. America is wild. The people came to the USA to never bend for a king anymore. Whether they succeeded to find true liberty is an interesting discussion, but at least the American attitude led to pure individualism and conformism in equal measures. Differences between people and communities are vast on every social, religious and personal level and travelling through such a country is like a rollercoaster ride that is thrilling and depressing and everything in between. You are certain to encounter a few wildly interesting people on the way. 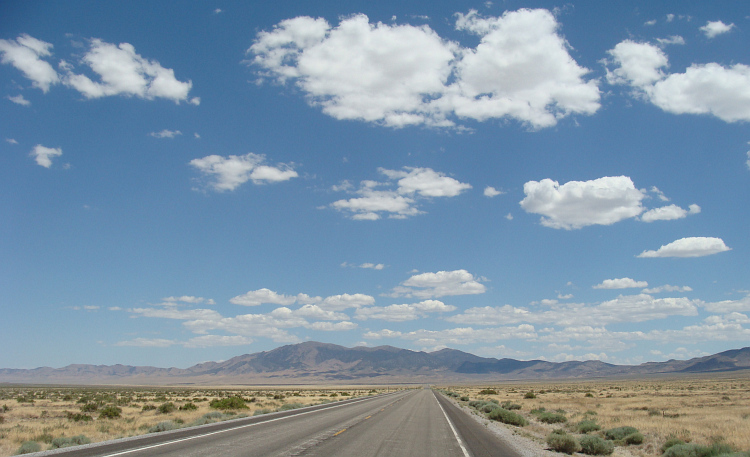 The Lonely Highway crosses the full east-west length of Nevada. From Nevada's capital Carson City the long road goes in a straight line through the desert. Lonely mountain ranges accentuate the emptiness of the landscape. Once in a while there is a settlement frozen in time, where you can buy a burger. There might be nothing else. Not lonely enough? The sideroads of the Lonely Highway are even lonelier. 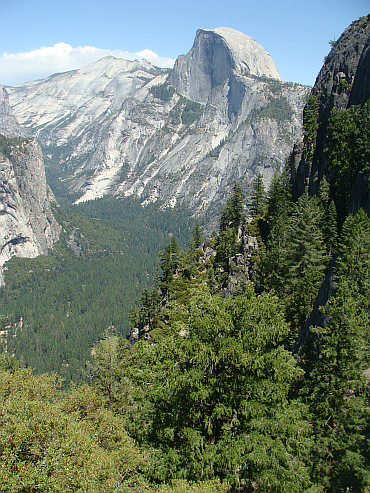 Yosemite is one of the most famous national parks in the world. 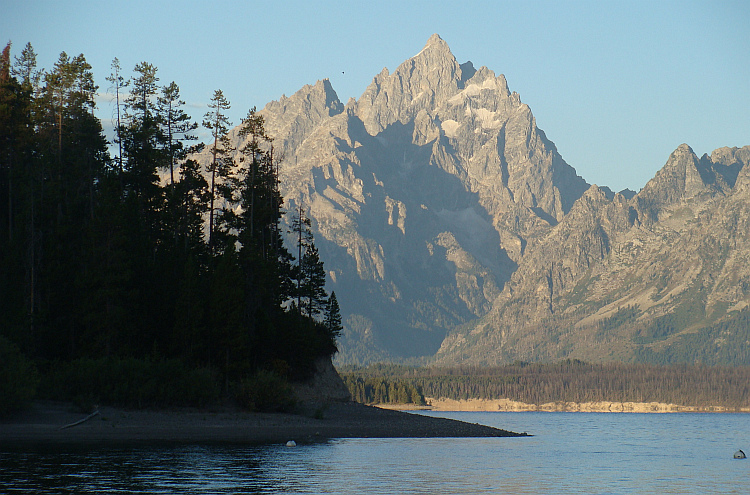 But it is big enough to be able to escape the crowds and to enjoy the pristine wilderness fully. In between the big granite cliffs and the many cascades are vast forests with worlds biggest trees like the sequioa and douglas fir. 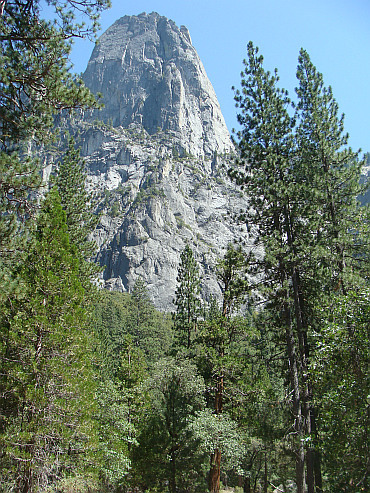 The park is great for trekking but for cycling too like the long climb to the Tioga Pass. 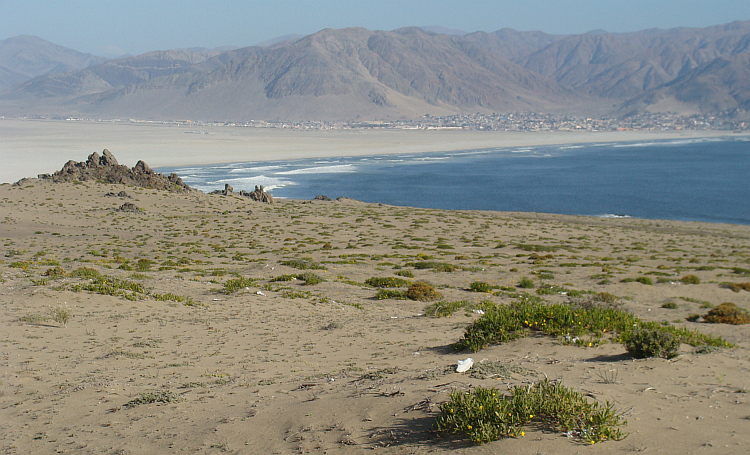 The peninsula of Baja California is beautiful desert country. Zillions of big cactuses are strewn around the arid plains. 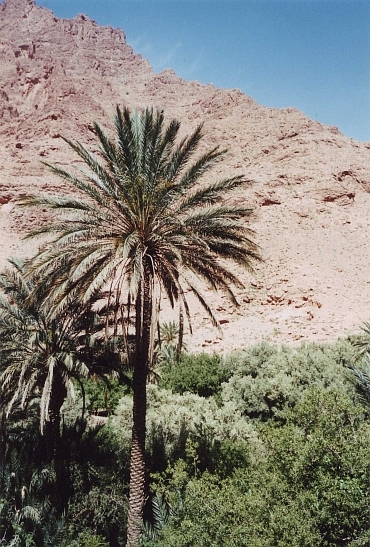 Thousands of palm trees fill the oases and are the perfect counterpart of the surrounding desert. 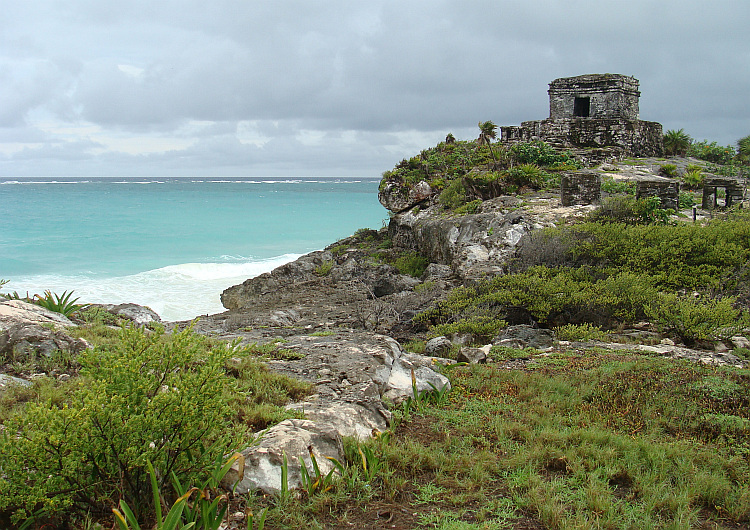 The Southern half of Mexico is surprisingly densely populated and there are a lot of beautiful historical towns. And there is the legacy of the Aztecs and the Mayans. And the food is gorgeous. And oh yes, it is nice and diverse cycling too. The hills of Guatemala are Maya country. 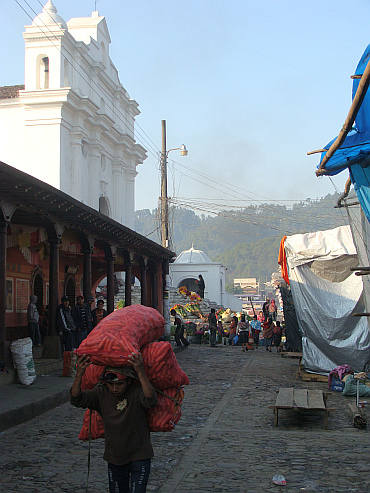 The beautiful, friendly people are living in atmospheric old towns like Antigua and Chichicastenango. 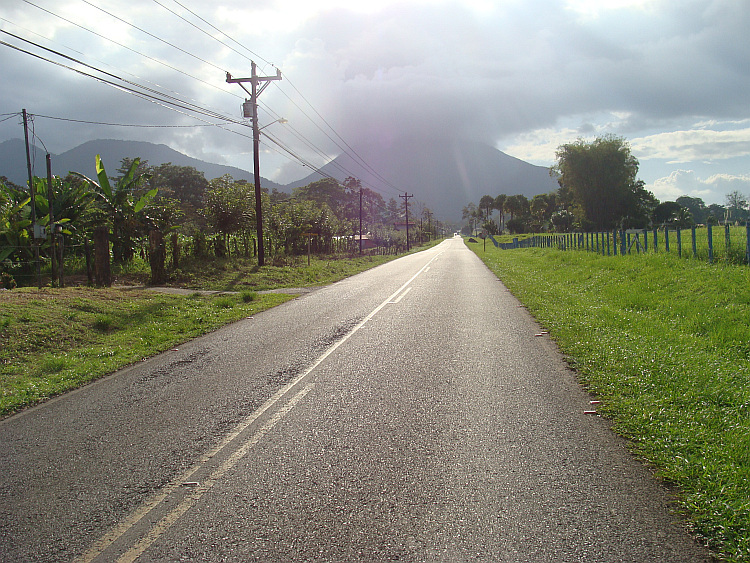 Costa Rica is just fine cycling. Wherever you are, there is always the possibility to spot tropical wildlife. 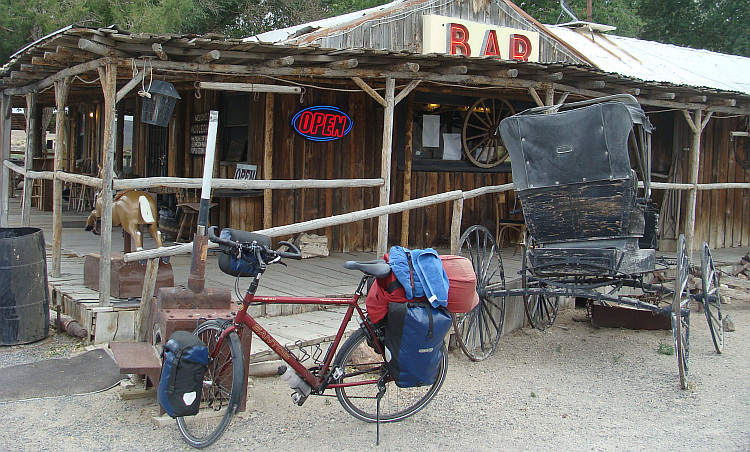 The roads are usually good and there are enough villages and small towns for carefree riding without logistic difficulties. 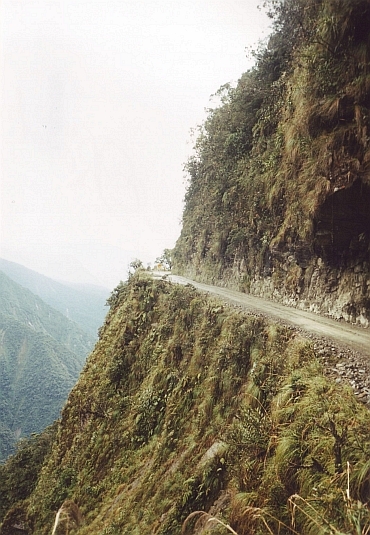 At the moment there is no overland route for cyclists across the Colombian - Panamian border. But there is a way out over sea. The islands are covered with coconut trees and are ringed with perfect white beaches and the azure waters of the Caribbean, which offer great opportunities to snorkel around pristine coral reefs between dozens of colourful fishes. 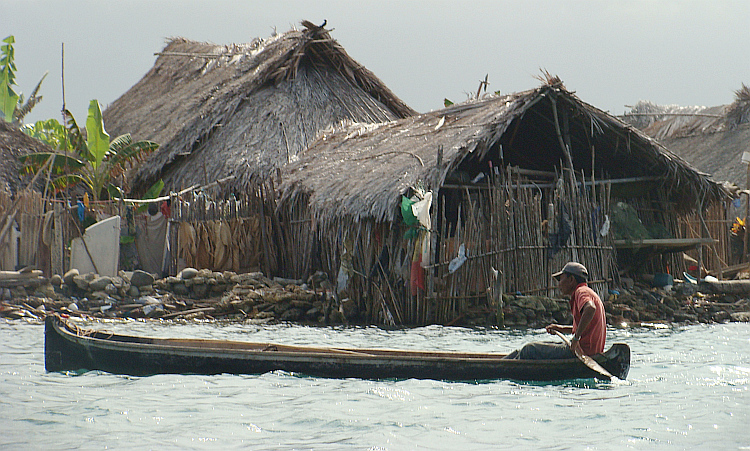 Some of the San Blas Islands are uninhabited, others are home to the tribal Guna people. 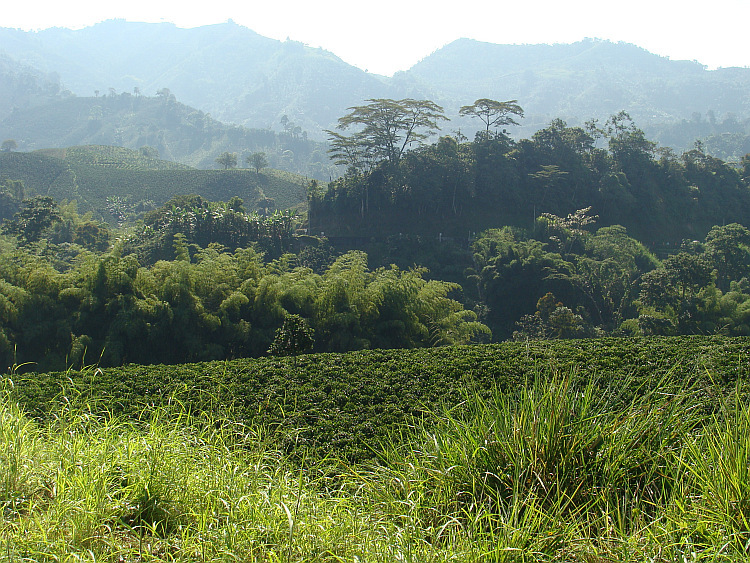 The Coffee Triangle is a beautiful little green world of steep hills, forests and of course: coffee plantations. And while in Rome... the coffee is indeed outstanding. 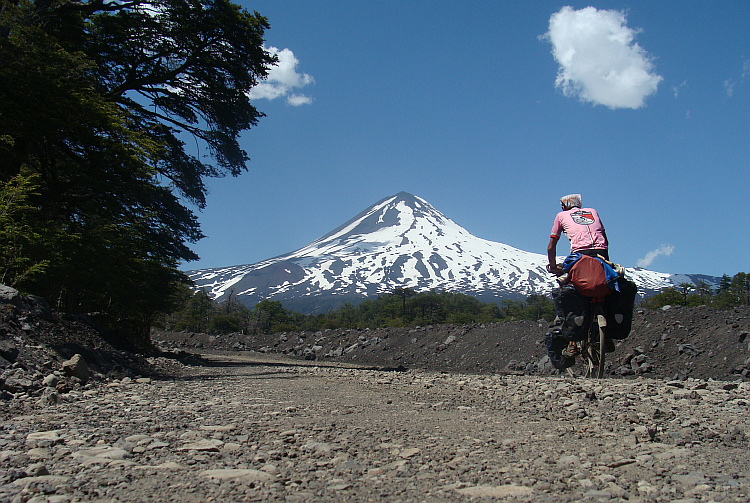 It is difficult to avoid the Panamericana when making a long-distance ride in Central or South America. While best avoided in Peru or Chile, Colombias part of the Panamericana offers a perfect introduction to its beautiful cities and villages, to the mountains and rivers and to the exuberant tropical world of Colombia. 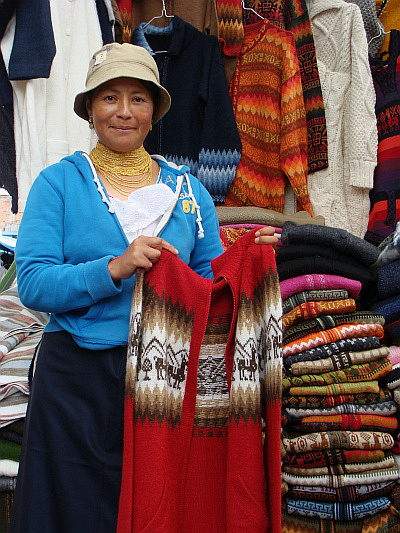 Everybody and everything in indigenous South American village life comes together on the market. 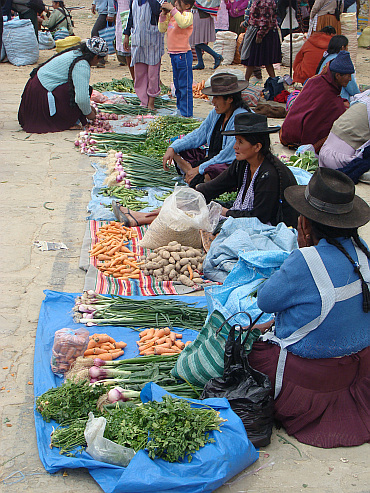 Highlights include Pisac in Peru, Tarabuco in Bolivia and Otavalo in Ecuador. 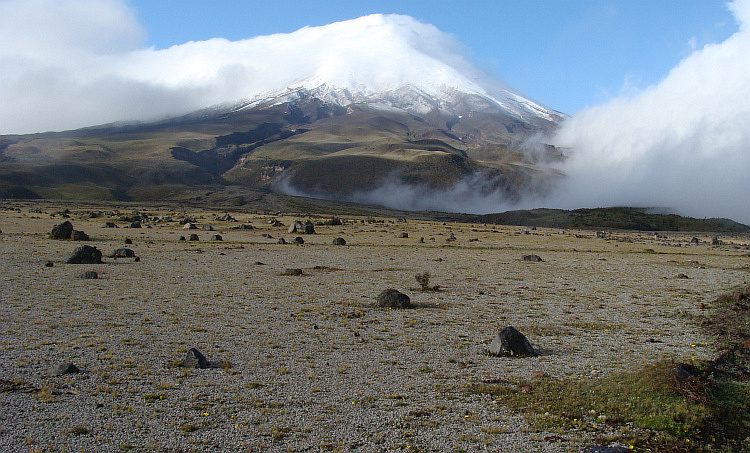 The mighty Cotopaxi volcano towers over the surrounding plains of páramo. Unpaved roads from Quito and Lasso lead up from the jungle-like landscapes down below to the highlands at the base of the Cotopaxi. The Quilotoa Loop is a semi-circular road that goes through green mountain landscapes and cloud forests in the heart of indigenous Ecuador. The misty landscapes are breathtaking and the traditional villages are colourful and interesting. 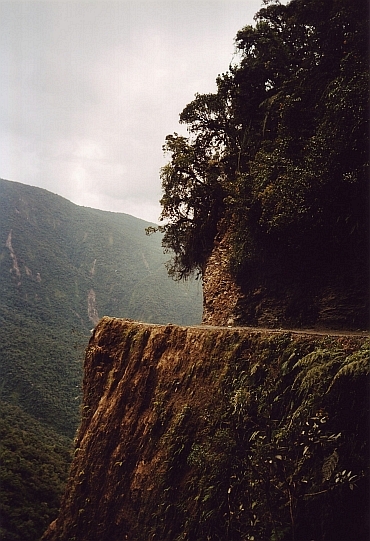 The road from Baños down to Mera and Puyo is leading through exuberantly green cloud forest. 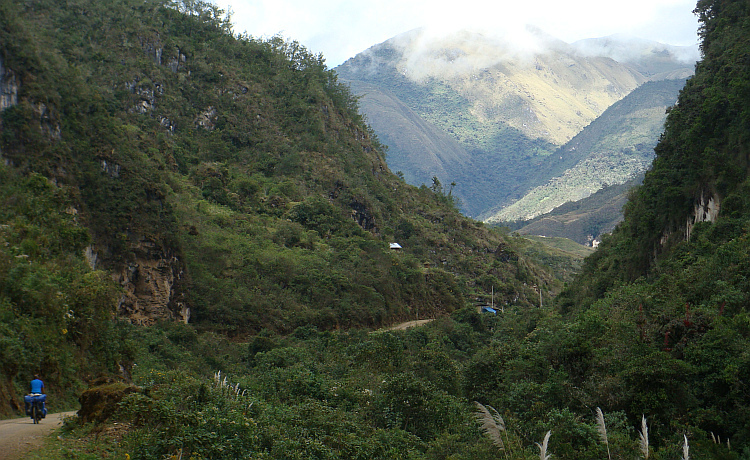 The road follows a valley with steep slopes and with cascades everywhere, plunging down in reckless speed towards the Amazon basin. Cycling with new-found friends over the roads of the world is one of the greatest highlights of every bicycle journey and offers a unique possibility to transcend cultures or social backgrounds. 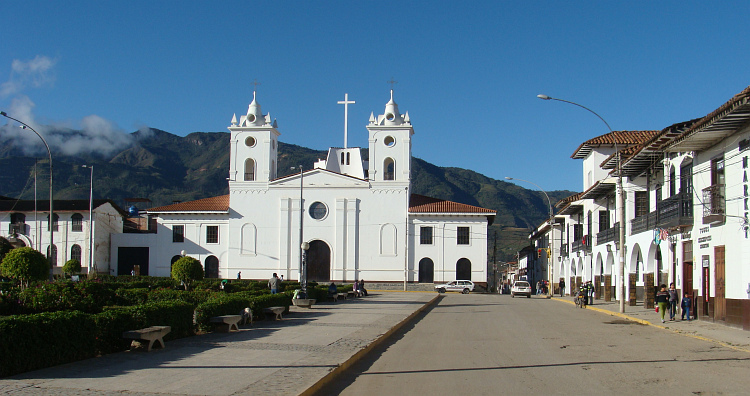 Remote Chachapoyas is hidden in the cloud forests behind multiple Andes mountain chains and due to its isolation it attracts few visitors. The small colonial city is all the more special for it. Apart from the good vibes of the city there is great scenery with high escarpments, emeral green forests and huge waterfalls. 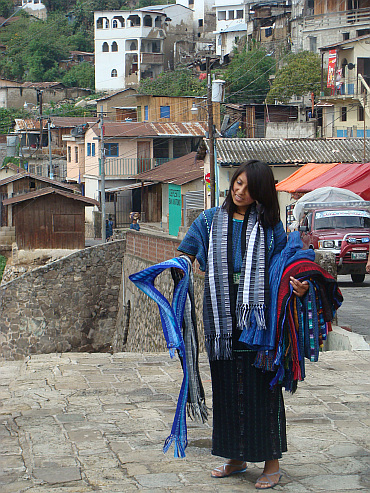 Plus there are transcending remnants of the old Chachapoyas civilization. Adventure meets culture meets nature on this fascinating road trip between two of Perus most beautiful cities in Northern Peru. 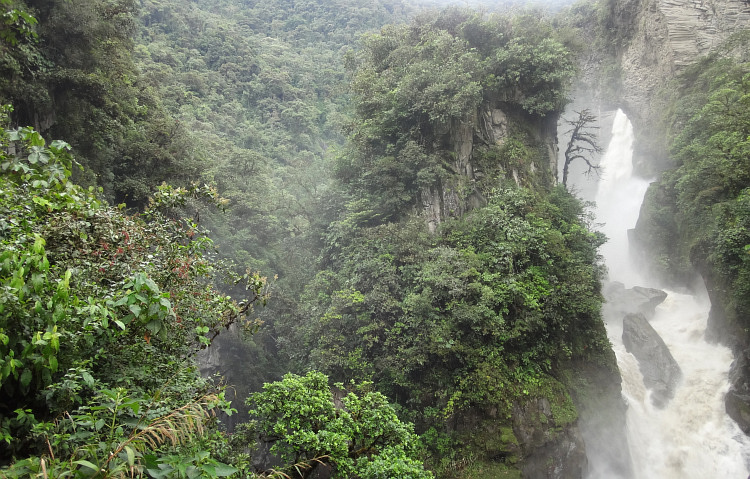 A wild unpaved road passes through cloud forests and përamo and leads over three major passes plus the stunning three thousand meter deep gorges of one of the main tributaries of the Amazon river. 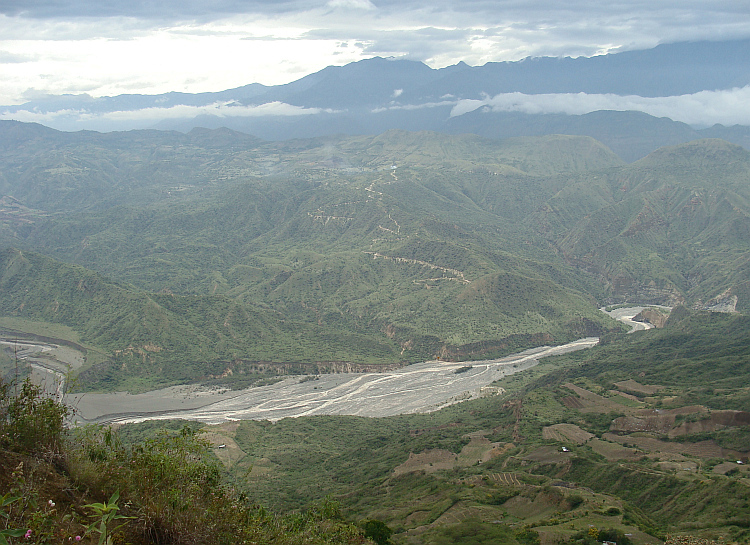 The Rio Santa River cuts through the mountains of the Cordillera Negra, leaving dazzling rock cliffs. 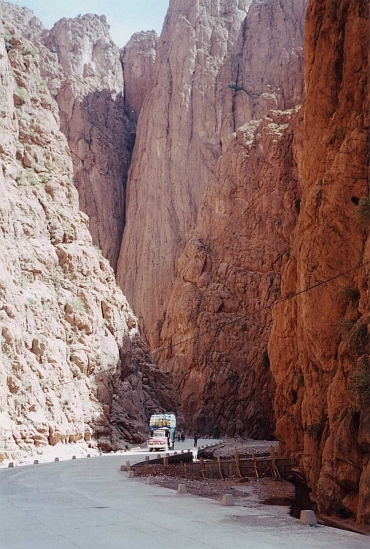 A 200 kilometer unpaved road leads through the never-ending series of gorges from the coastal desert of Peru to the fertile valley of the Rio Santa. 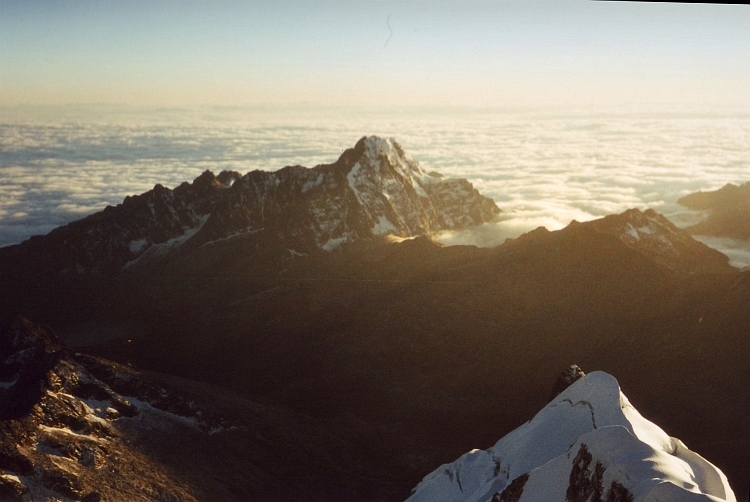 The Cordillera Blanca is the most striking of all Peru's mountain chains. The vertigo-inducing granite cliffs are topped with a brilliant white glacier world. 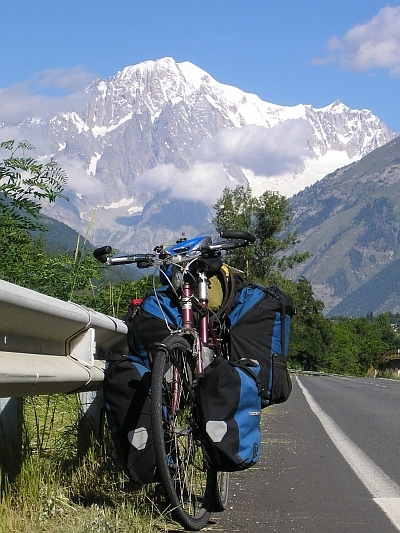 Apart from a trekking and climbing wonderland, it is a bicycle wonderland as well, as five unpaved roads cross the mountain chain and all beg to be explored. 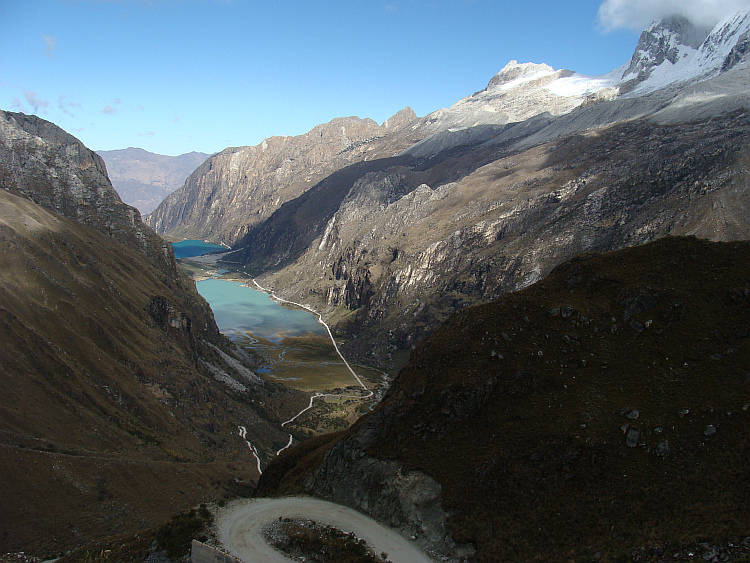 Three major passes divide Huaraz from Huánuco. From the high altitude puna landscapes with the gigantic, weird Puya Raymundii flowers further up to the alpine Cordillera Blanca, followed by the windswept Abra Yanashalla Pass. 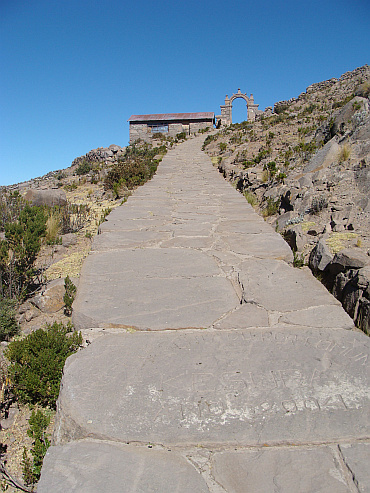 The road winds down through traditional Indian villages to eventually climb to the Corona del Inca, literally the Crown of the Inca. 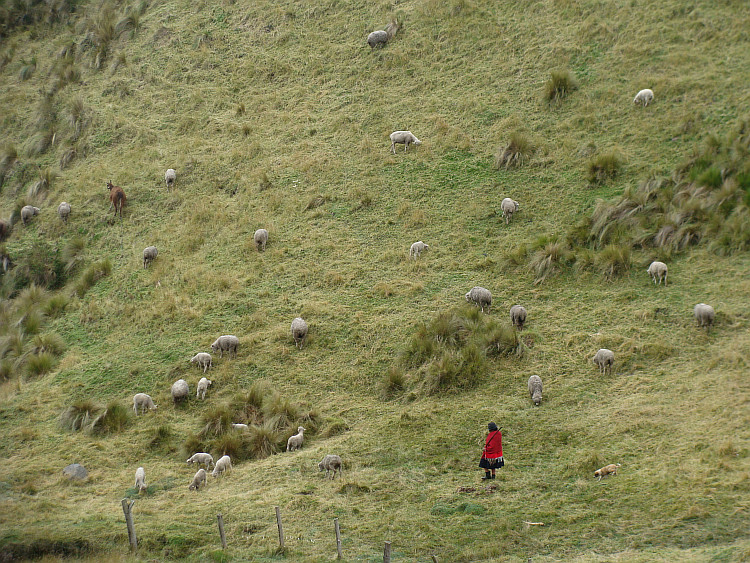 A long way down eventually leads to Huánuco. Remote Central Peru is the ultimate step back in time with its small-scale pastures and colonial cities like Tarma, Huancavelica and Ayacucho. 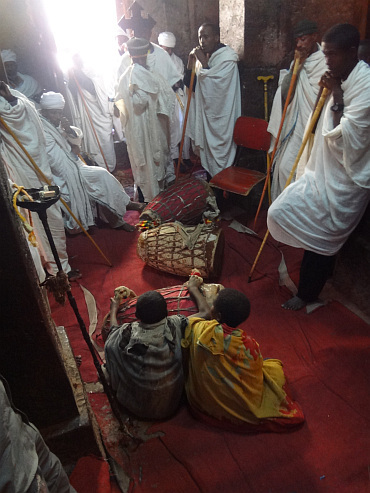 The indigenous population clings to its traditions in music, clothing, food and loads of processions. 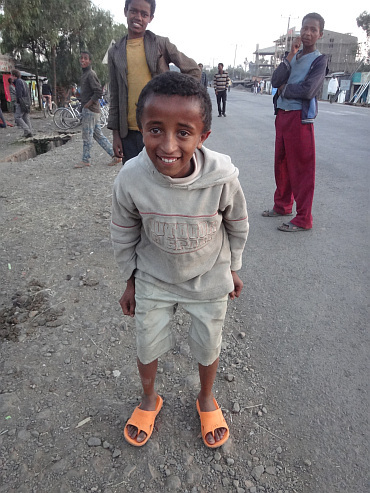 The people might look shy but with a small effort they will show their hearts and smiles. 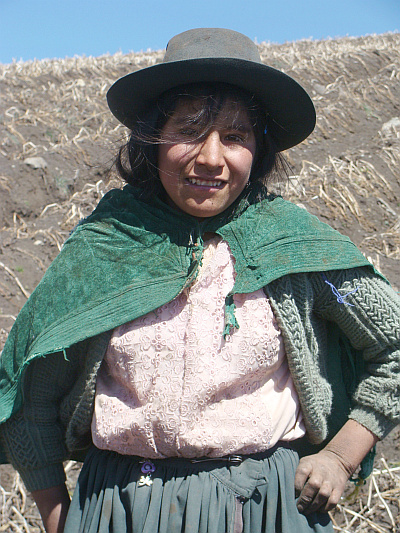 No less than five major passes need to be crossed to reach the old Inca capital of Cusco, coming from Ayacucho. There are other parts of Peru that might be scenically a bit more rewarding, but as these far-flung outposts are off the grid for touring operators, they offer much more insight in every-day indigenous life than their touristy counterparts. 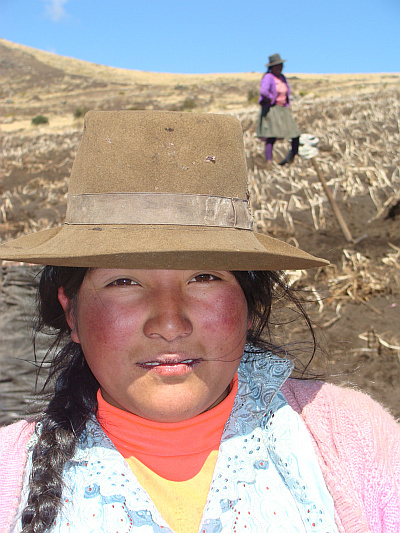 The immensely popular Inca Trail draws thousands of tourists per year but is still a wonderful experience. More private encounters with Precolumbian culture can be found in Chavïn de Huantar or Kuélap and many others fascinating sites. 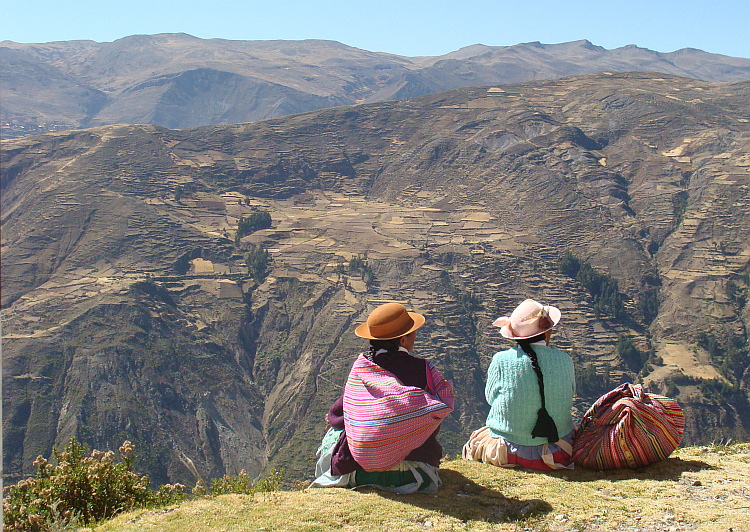 According to the Peruvians the Colca Canyon is the deepest gorge in the world. 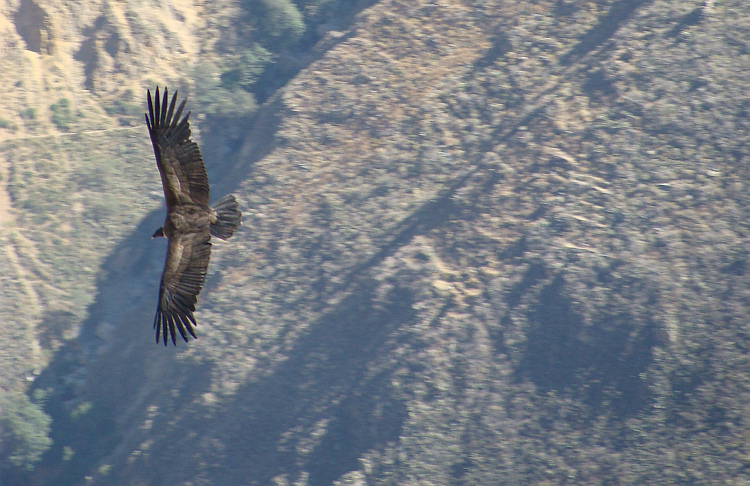 Although the claim can easily be challenged, the gorges are deep and imposing, especially when condors make use of the thermal rising winds, looking for prey. 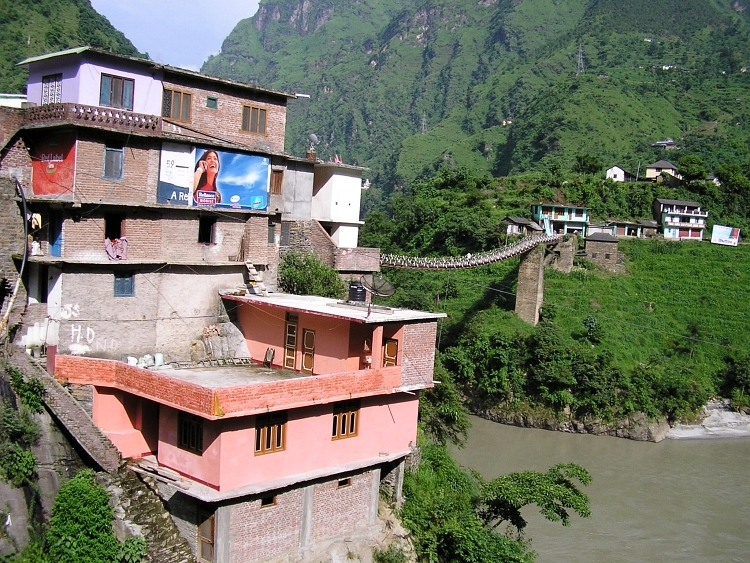 Not only the gorges are a highlight, the terraces upstream with its beautiful villages are just as interesting. 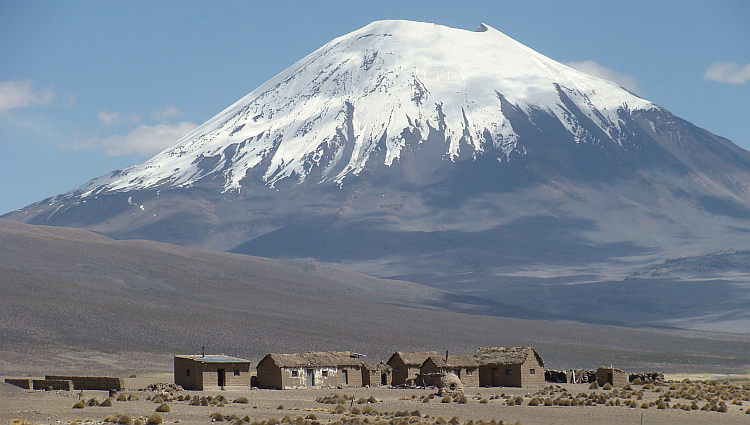 The Chachani and the Misti are the dominating volcanoes near Arequipa. 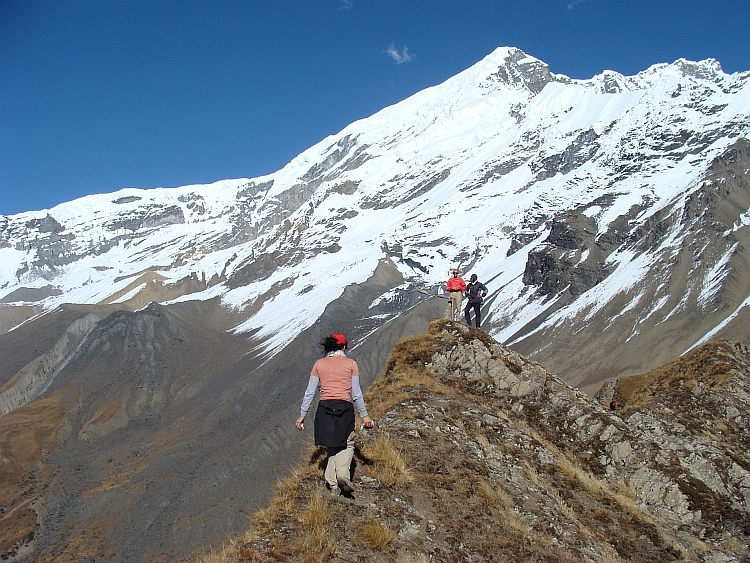 The Chachani is a bit higher than 6.000 meter and might be the most accessible mountain of its altitude. Not much of a true challenge the mountain is rewarding for its beauty and the impressive views over the deserts and oases in the depths below. 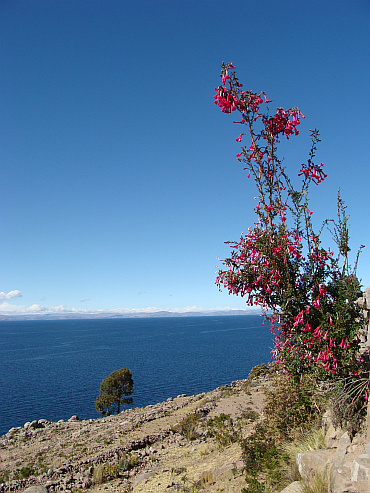 One of the archetypal images of Peru and Bolivia, huge Lake Titicaca draws a lot of visitors. For cyclists the lake offers relatively easy, mostly flat cycling on paved roads, but the beauty of the Lake lies in its islands like the floating reed islands and the Isla Taquile in Peru and the Isla del Sol in Bolivia and their unique and diverse cultures. The highest capital of the world is only accessible with... a downhill! 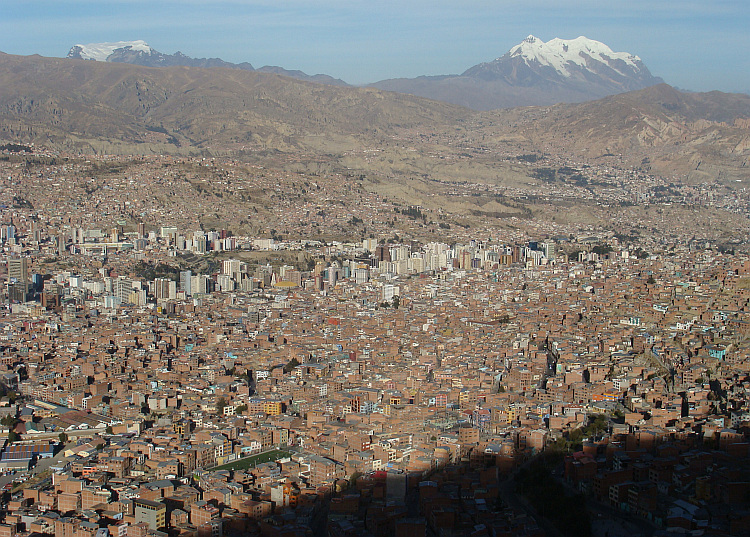 Just before the 4.000 meter high Altiplano rises up even further to the 6.000 meter high Cordillera Real, there is a big thousand meter deep hole in which the eponymous mountain city of La Paz is situated. From twin city El Alto the road winds down in a thrilling rollercoaster ride down to the bustle of the most traditional of all the big cities of the Andes. 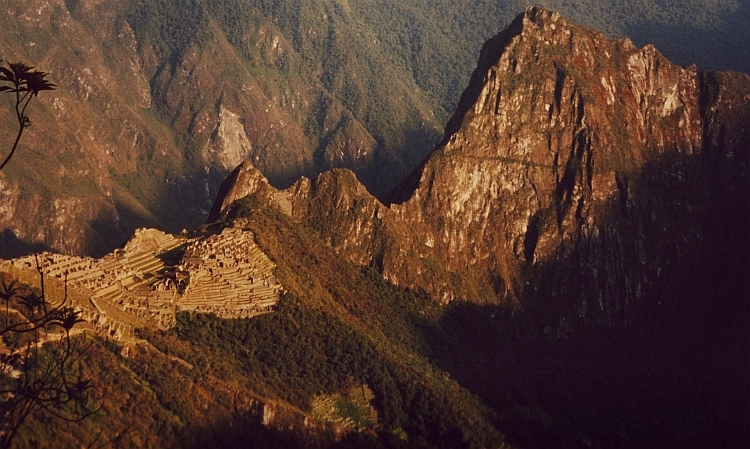 The Huayna Potosï is one of the most accessible high mountains of the world, due to its vicinity of La Paz. A relatively short way up over glaciers and snow leads to the 6.081 meter high peak. There were a lot of annual victims of the road from La Paz in the Andes to Coroico in the jungle untill the new, safer road was ready. Now the tiny unpaved road through the vertical green world is much quieter. Near the border with Chile the Bolivia Altiplano rises up to a mountain range full of volcanoes. The panoramic landscape evokes a kind of spiritual intensity. Beautiful weathered churches are strewn like isolated islands in the landscape and add up to the eerie otherworldly grandeur. 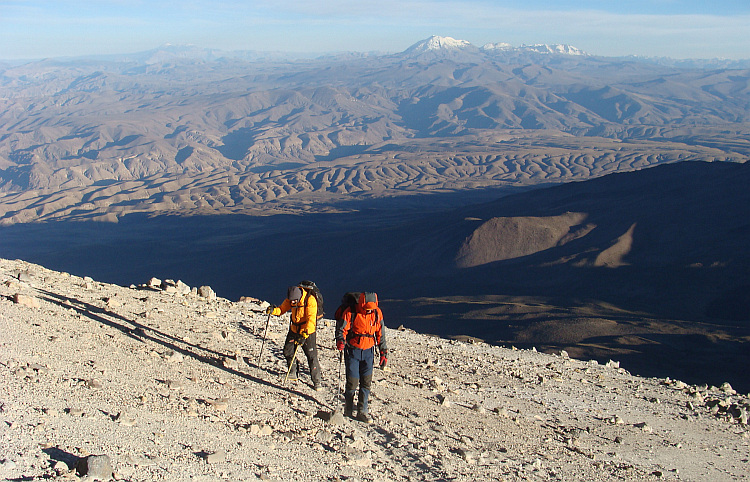 The 6.341 meter high Volcano Parinacota can be climbed comparatively easy for such a high mountain, although not as easy as it seems. 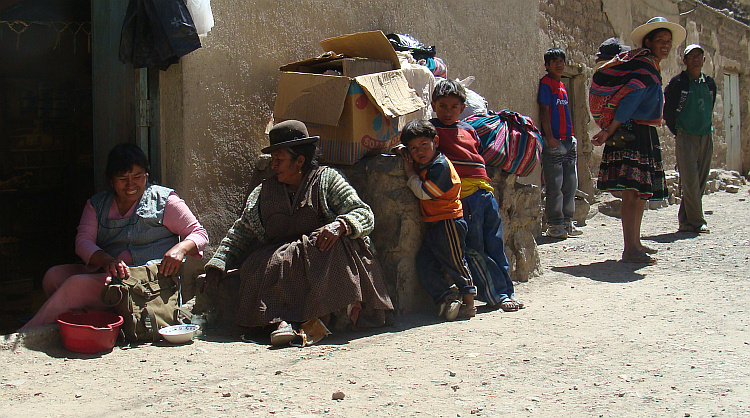 The road from Oruro to Sucre is avoided by virtually all traffic and there is reason enough to do so as road surfaces are horrible or worse. 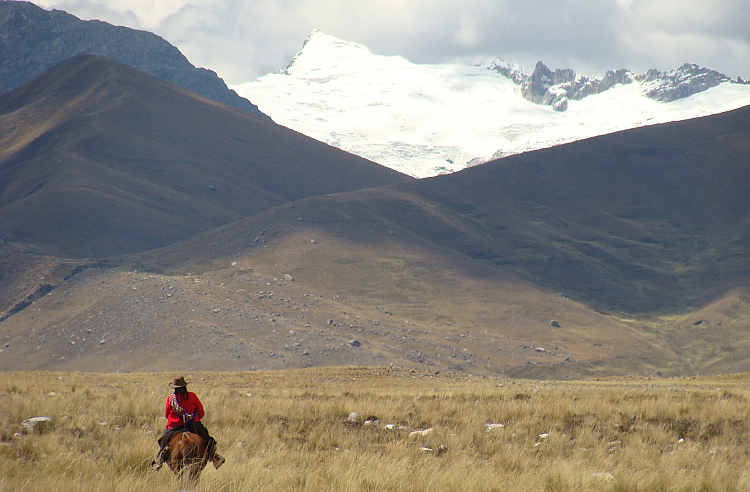 Although beautiful, there are more striking areas to be found elsewhere in the Andes. Despite all the hardships this road is rewarding just because of it. This part of the world is so far off the grid that you would nearly forget that there is a grid at all. For long-distance cyclists Sucre is the ideal break. A beautiful colonial city far away from it all but with just enough things to do. 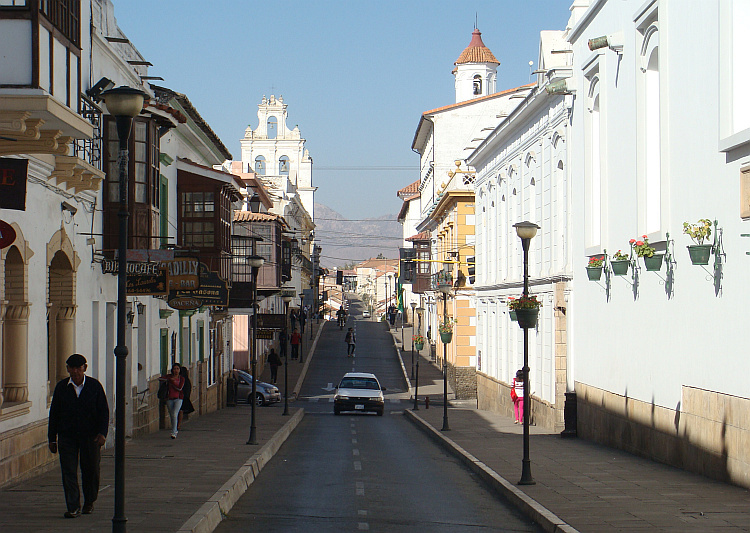 Tucked between the sizzling rain forest to the east and the freezing Altiplano to the west, Sucre has just the right climate, just the right atmosphere and just the right people. 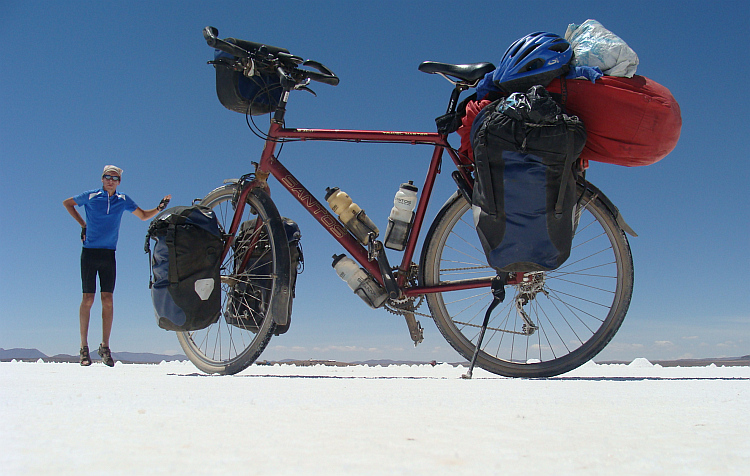 The Salar de Uyuni is the ultimate dream for the adventure cyclist. A 200 by 200 kilometer splendid white salt lake on 3.650 meter altitude with a tiny island with giant cactuses in the middle. The route from Uyuni to San Pedro de Atacama is the one most classic bike tour in South America and maybe in the whole world. After crossing the 200 kilometer wide Salar de Uyuni the true adventure begins: the Laguna route offers 450 kilometer jeep tracks in uninhabitable land past high altitude mountain chains, volcanoes, deserts and lakes in virtually every color possible. The far northeastern corner is one of the most beautiful parts of natural wonderland Chile. A very isolated stretch of jeep tracks wind their way through the national Parks Lauca, Vicuåa;a and Isluga. 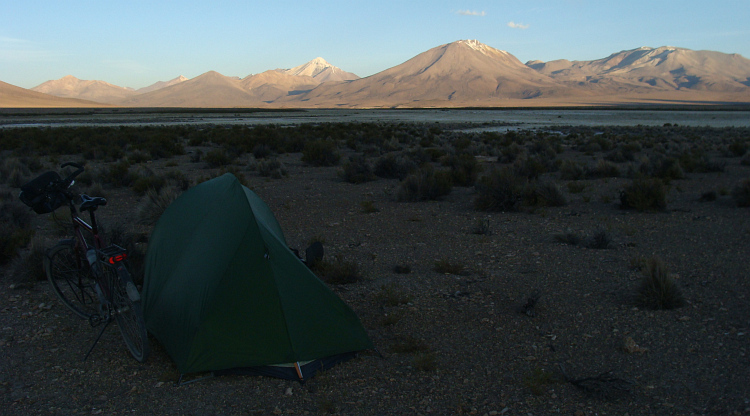 No water, no food and no life make this a very lonely, difficult and adventurous crossing but that is rewarded by majestic volcanoes, epic mountain ridges and gorgeous wide valleys plus the hauntingly beautiful Salar de Surire. 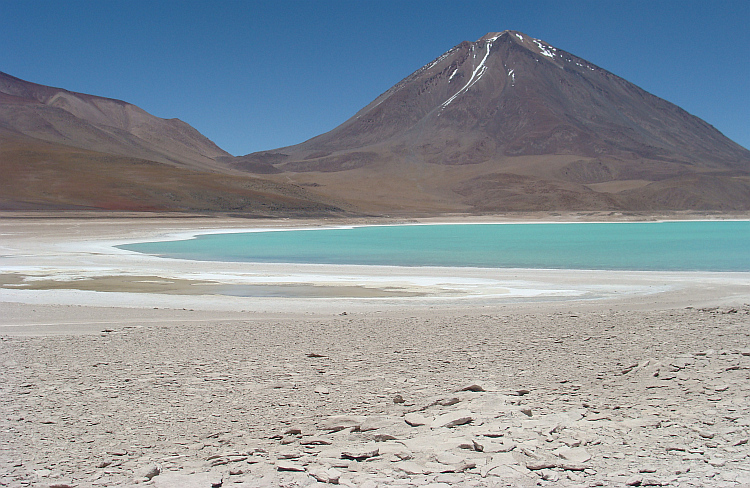 The Atacama Desert is one of the driest places in the world. 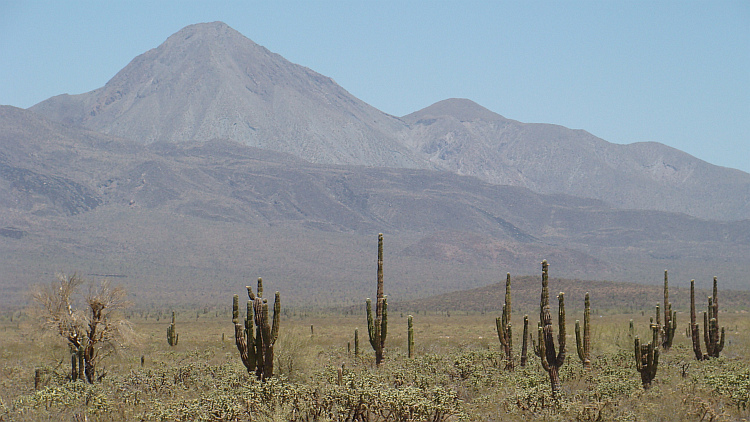 The Panamericana crosses the full length of the desert: a journey into nothingness. The monotony, emptiness and loneliness of the long road can be exchanged for detours to the strange coastal landscapes. The Araucania region in Central Chile is filled by forests. On the high slopes of the Andes the truly unique Araucaria tree dominates the scene. Active snow-capped volcanoes like the LLaima volcano tower above the dark green araucaria forests. Emerald green forests, stark blue lakes and perfect white volcanoes are the scene of the Lake District in Central Argentina and Chile. There is a lot of beautiful nature to be explored but it is not lonely here, as there are still villages and towns. The Carretera Austral is a 1.400 kilometer, largely unpaved road that connects the villages and settlements of Chilian Patagonia and is one of the most beautiful long-distance trips in South America as it winds its way past unique forests, pristine lakes, wild mountain ranges, grim glaciers, isolated icecaps and fast-flowing rivers. Chiles most famous and most visited national park can be found in the far south of the American continent. 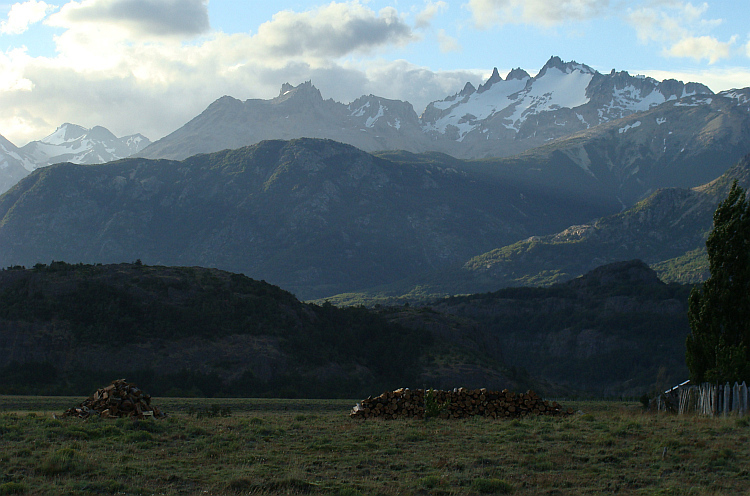 Three thousand meter high pinnacles rise up from the endless, flat pampas. 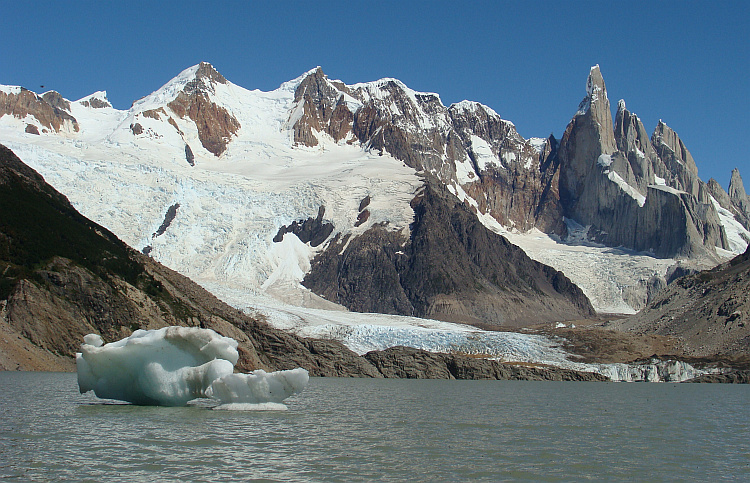 A two or three day trekking in the Parque Nacional Glaciares offers the possibility to see two of the most beautiful mountains of our planet: the Fitz Roy and the Cerro Torre. Unique forests are an added bonus for this very diverse trekking. 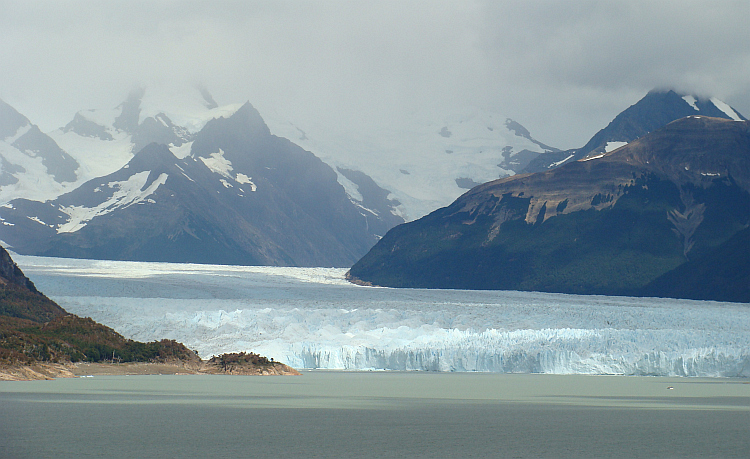 From Calafate one of the most imposing glaciers of the world can be reached in a long one day bike trip. The glacier ends in the Lago Argentina, where ice slabs as big as complete building crack open and tumble in the lake. 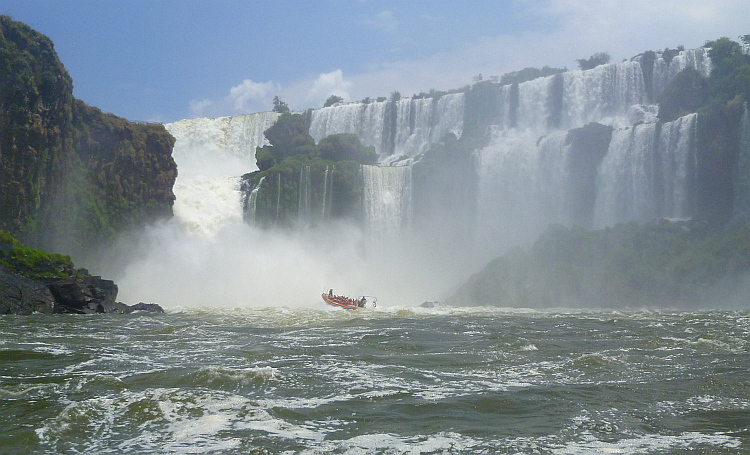 The eighty Iguazú Falls form a giant arena and provide a three-dimensional sound landscape with low, deep, floating noises, caused by the falling water. The Perito Moreno glacier in southern Argentina is the ultimate fairytale world of ice, the Iguazu Falls in the tropical north of Argentina might be the most grandiose waterfall world of our planet.